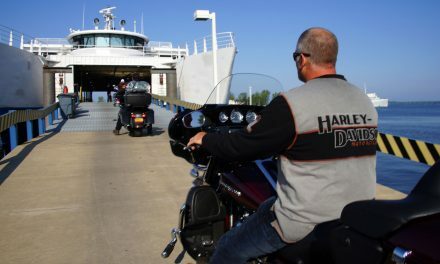 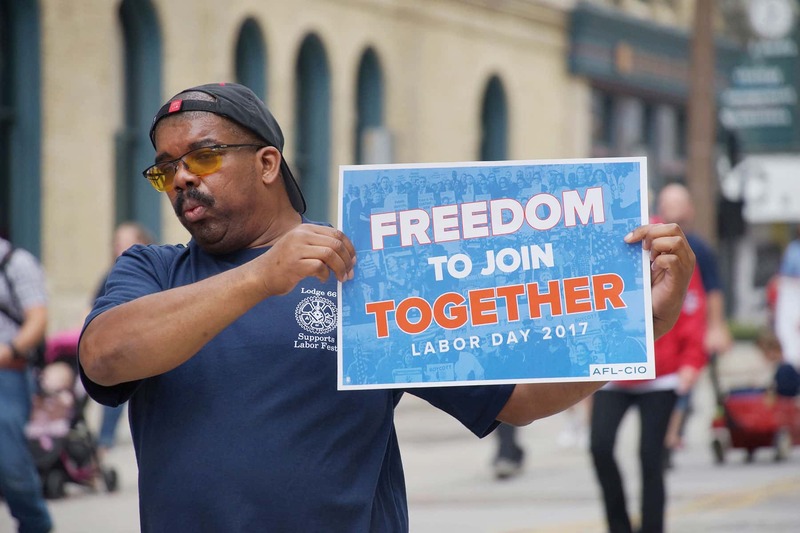 Labor Day marks the unofficial end of summer, but the low-key modern holiday got its start more than one hundred years ago after a blооdy Pullman strike. 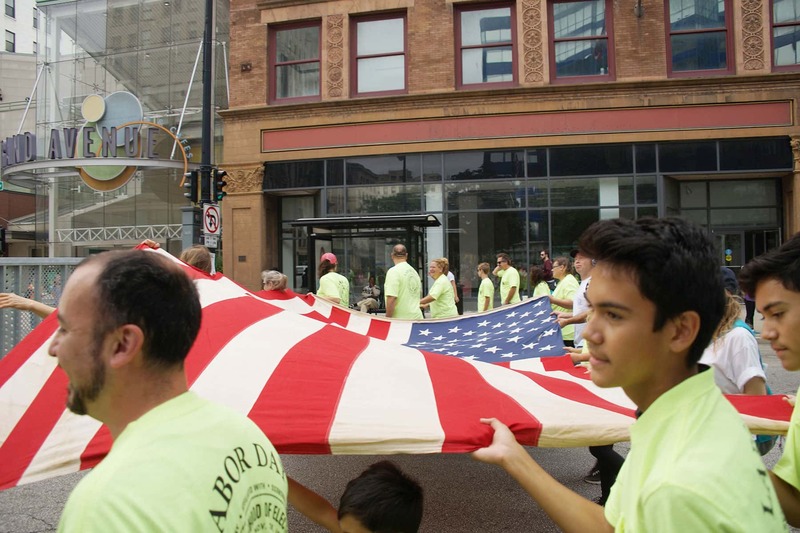 The nationwide 1894 Pullman Strike was a turning point for labor law. 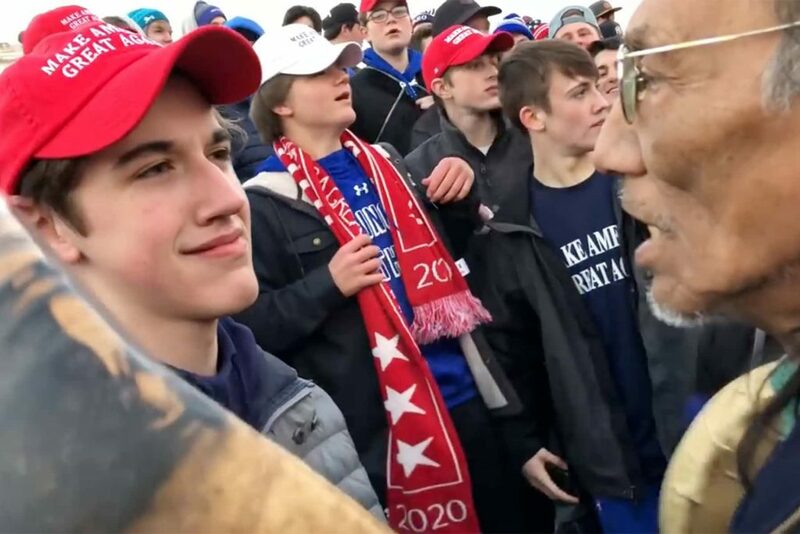 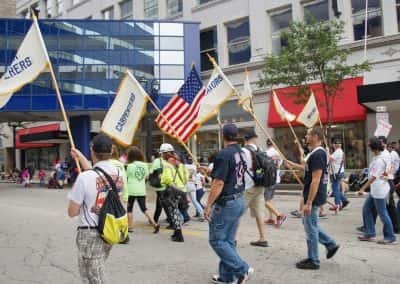 It shut down much of the country’s rail system, and was only brought to an end when President Grover Cleveland deployed federal troops. 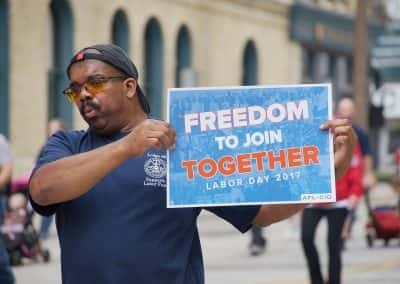 President Cleveland signed the Labor Day holiday into law mere days later. 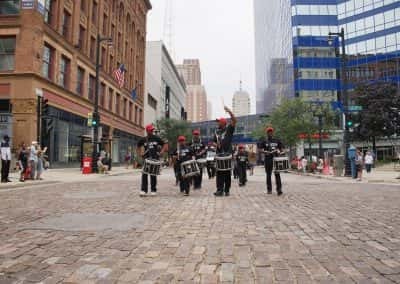 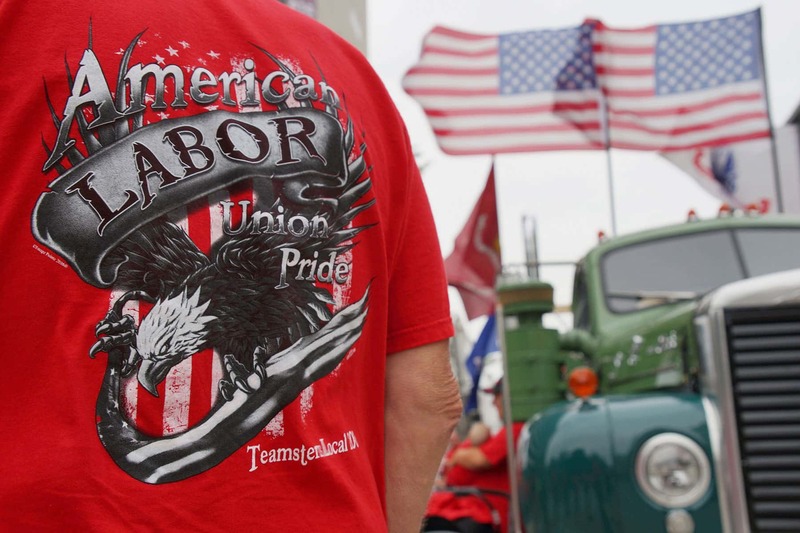 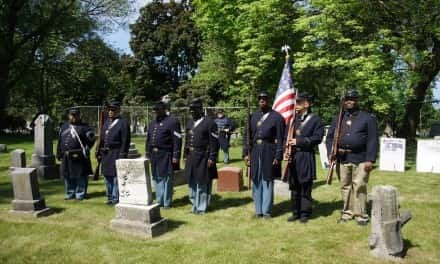 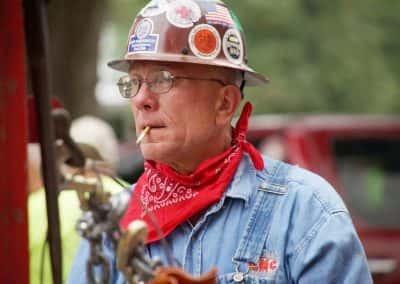 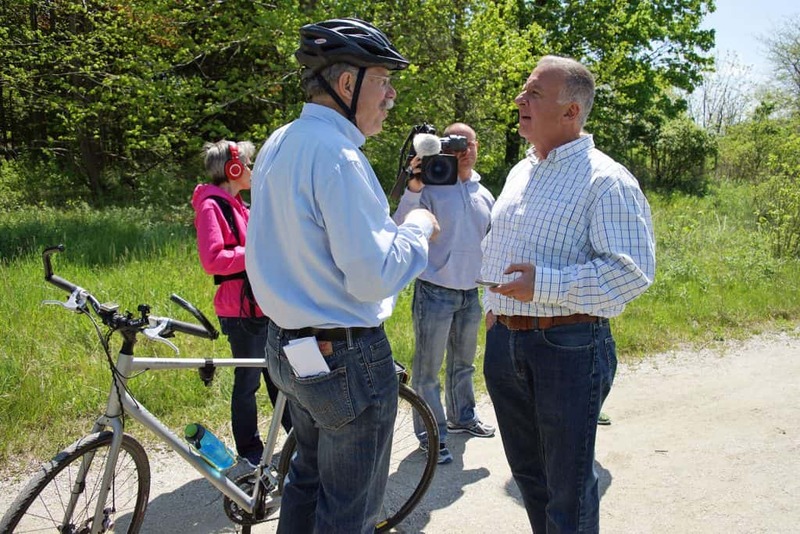 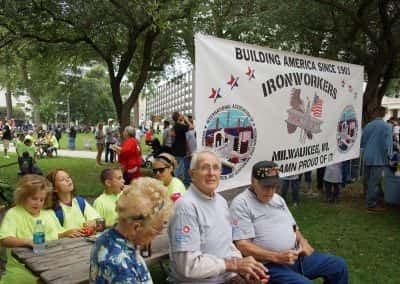 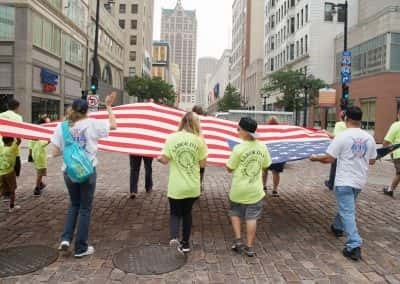 Milwaukee’s first unions started almost a half century earlier in 1847, with bricklayer and a year later for carpenters. 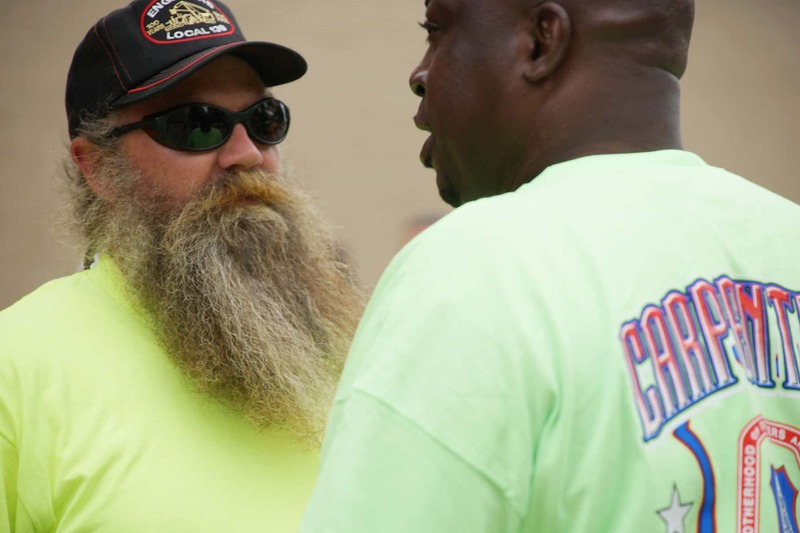 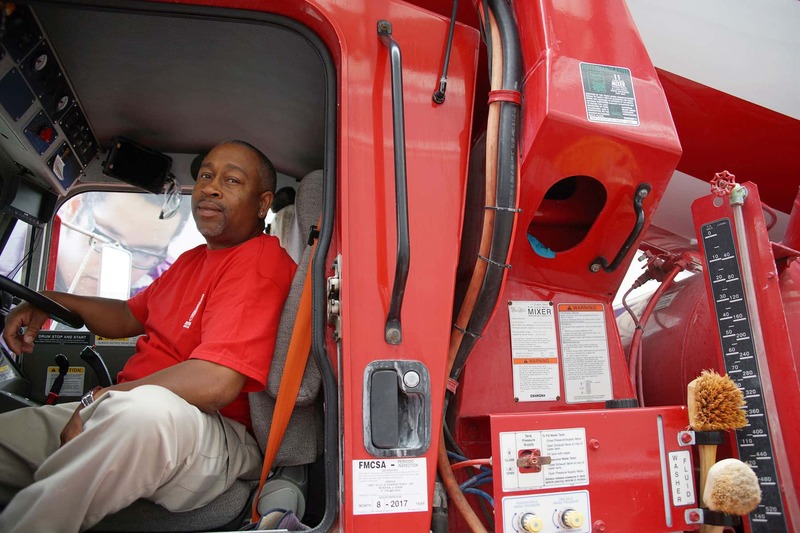 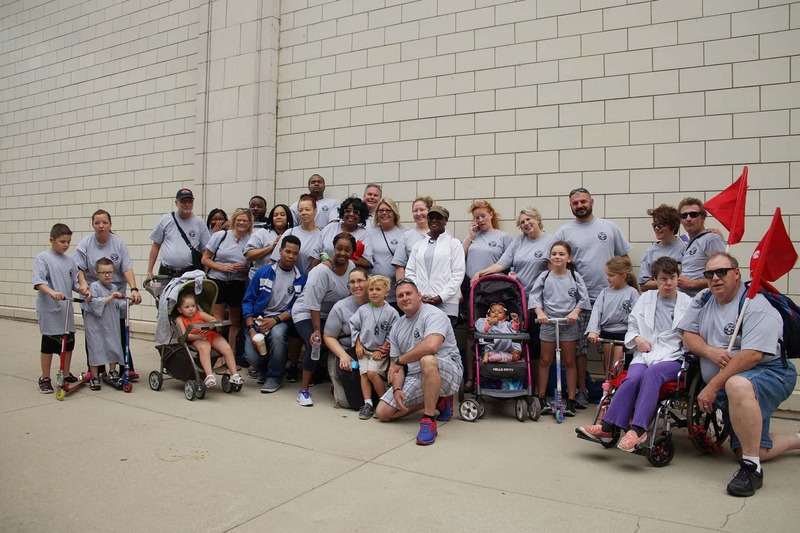 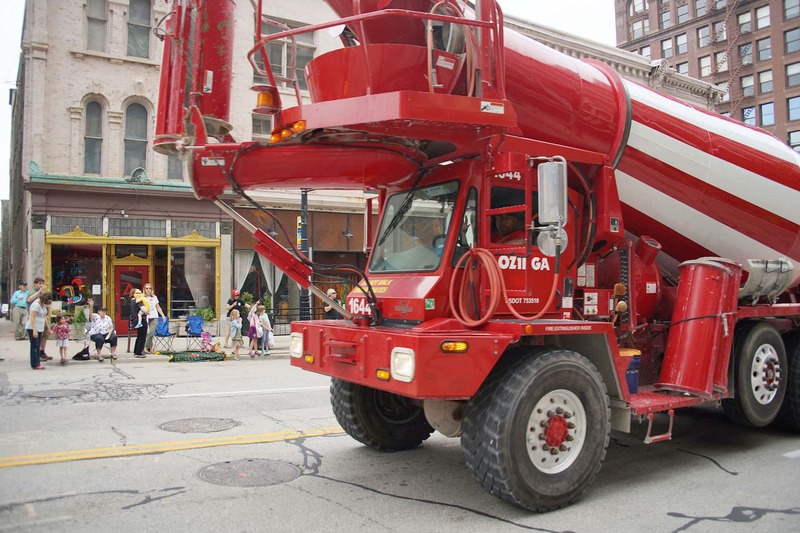 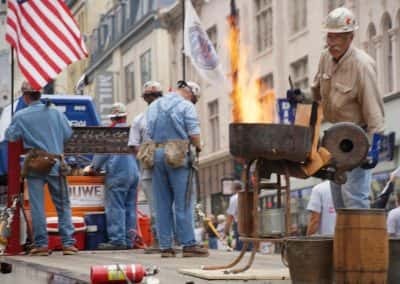 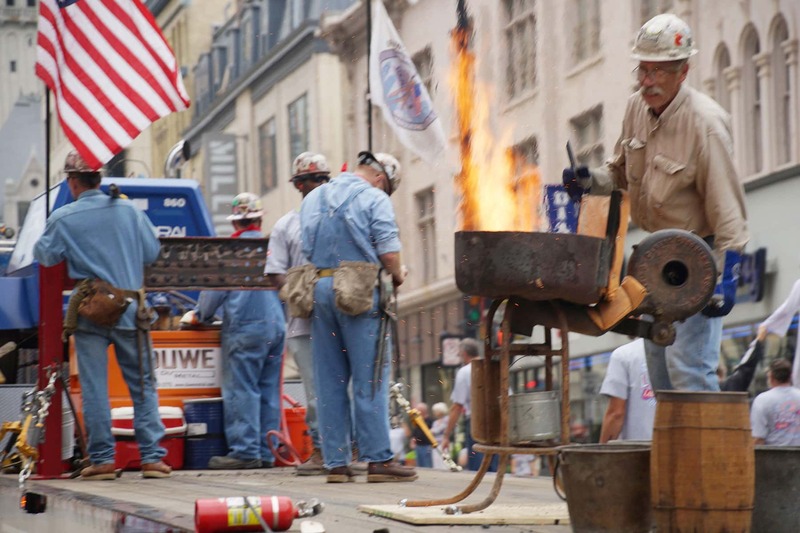 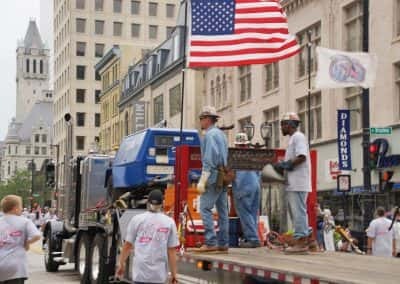 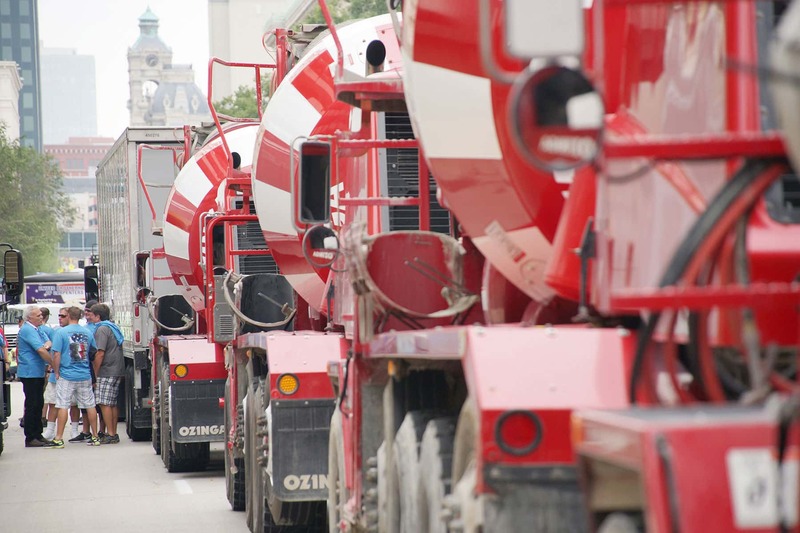 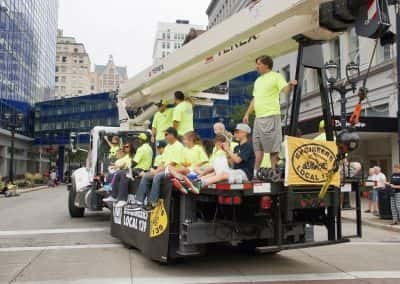 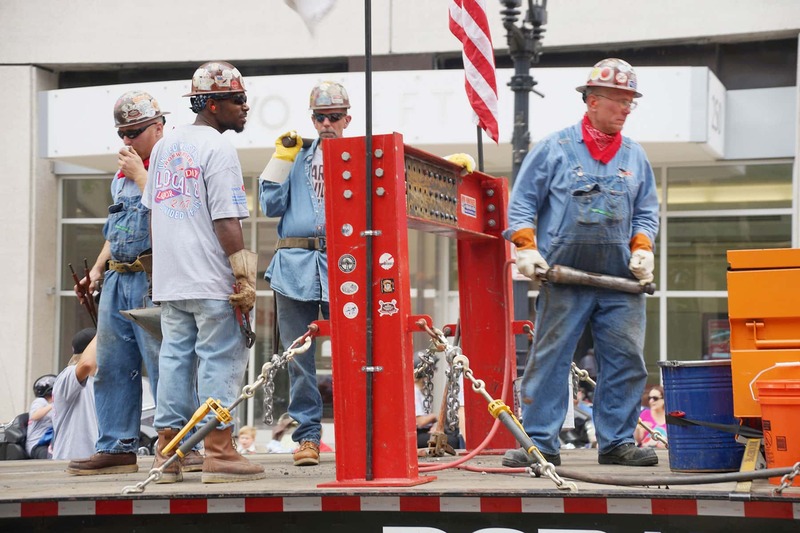 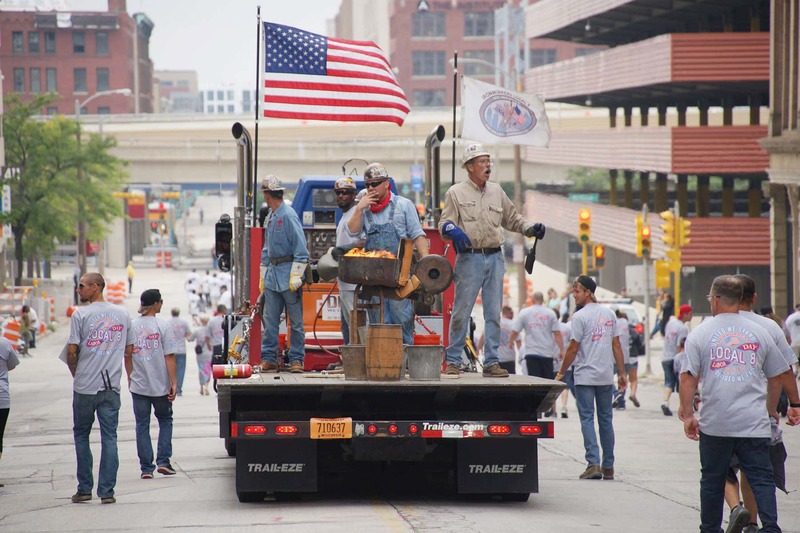 Laborfest 2017 and its annual parade have a long tradition of celebrating the workers who built the city and continue to serve it. 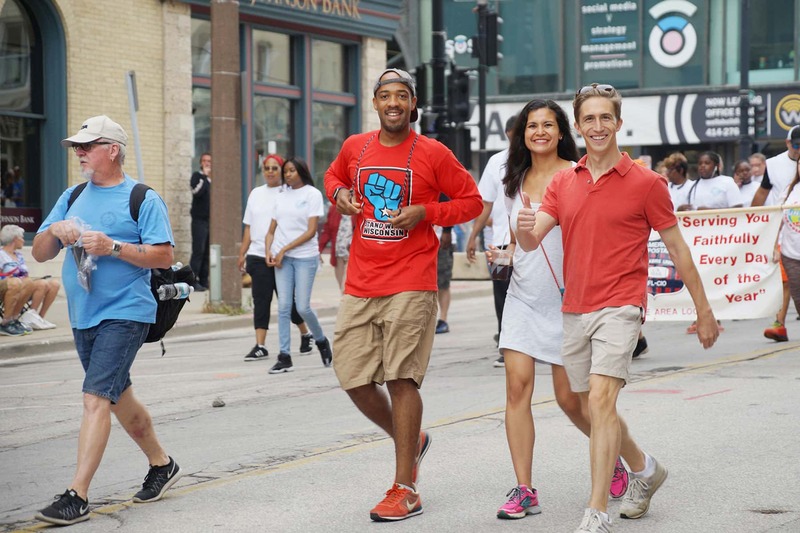 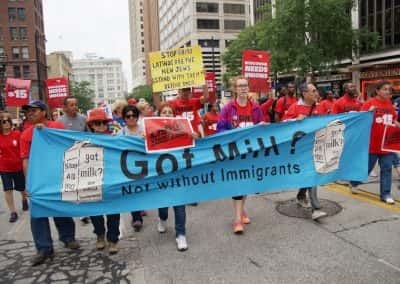 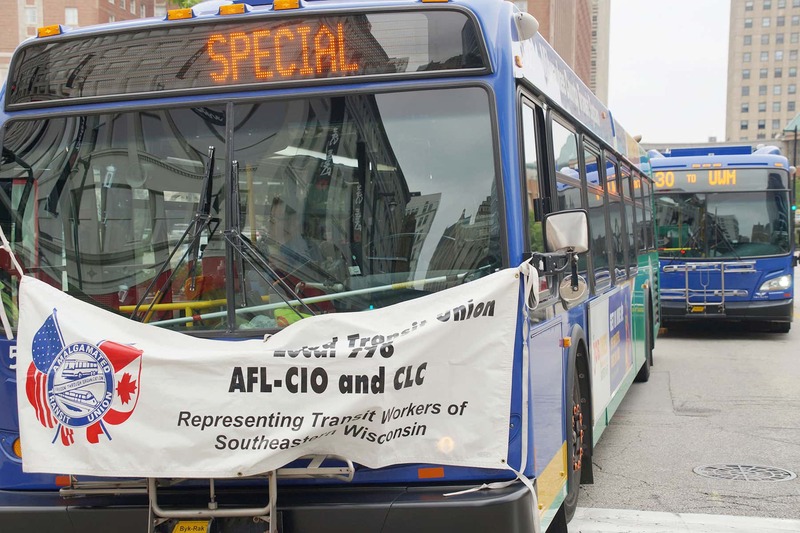 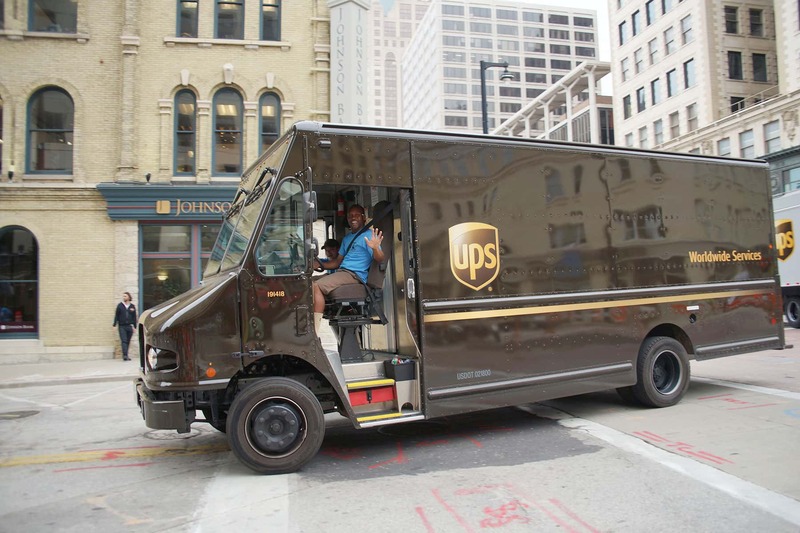 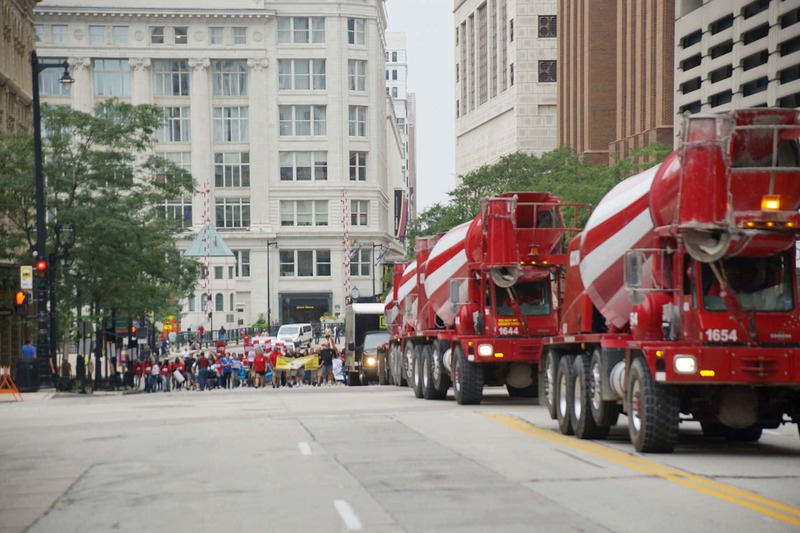 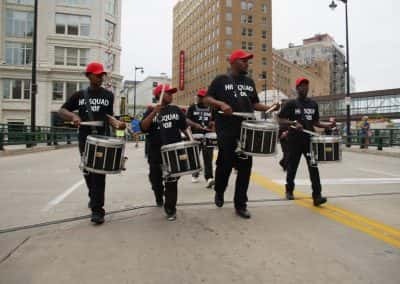 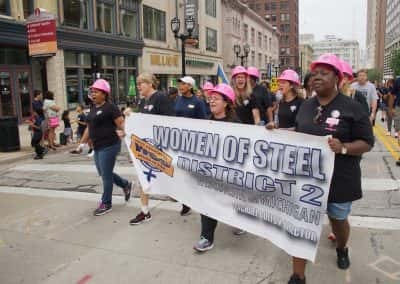 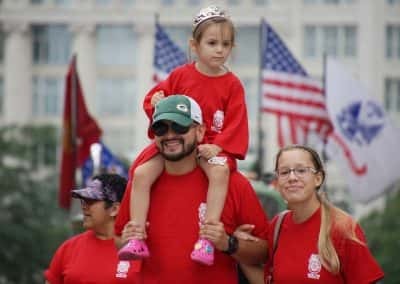 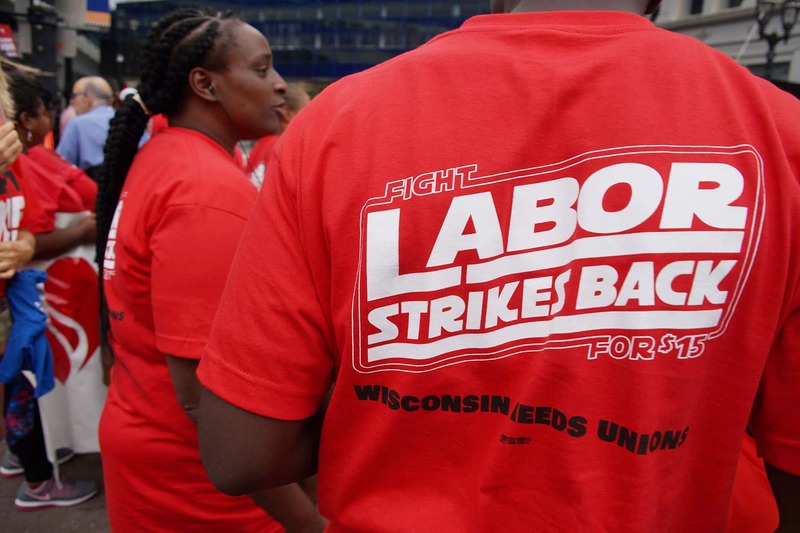 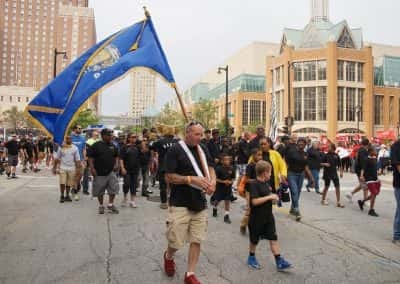 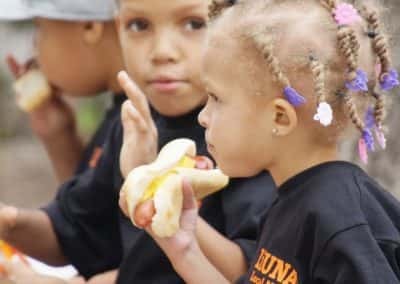 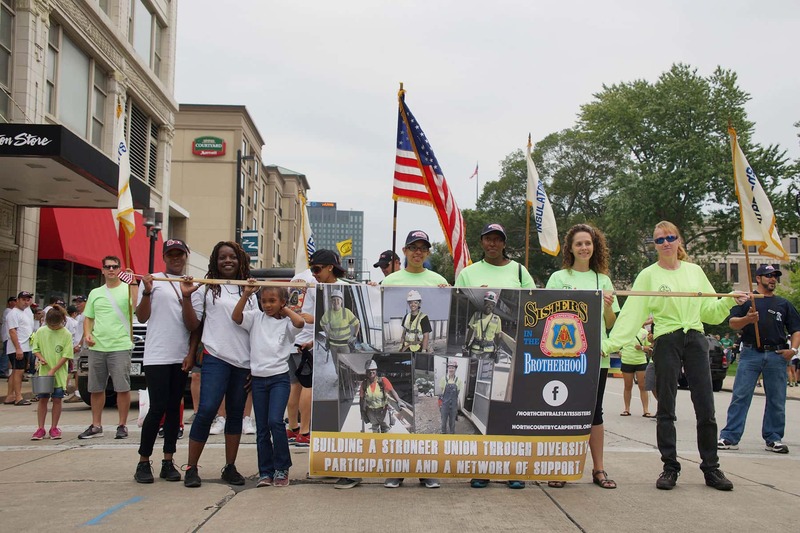 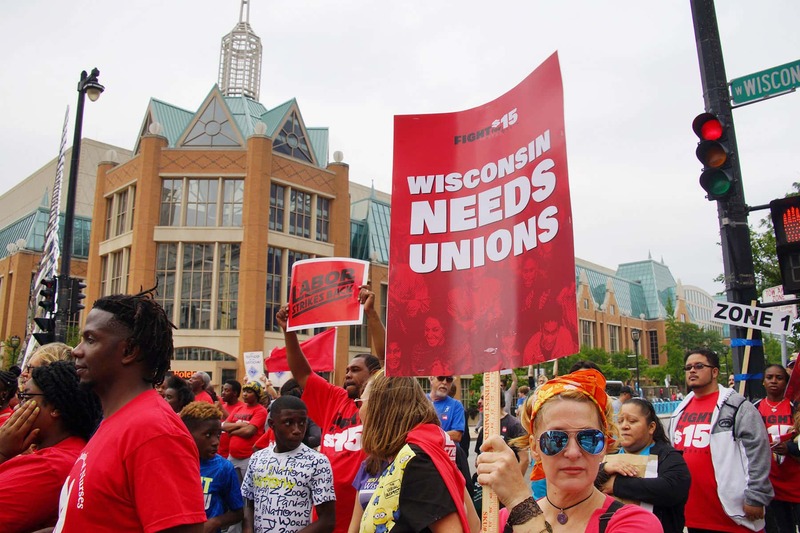 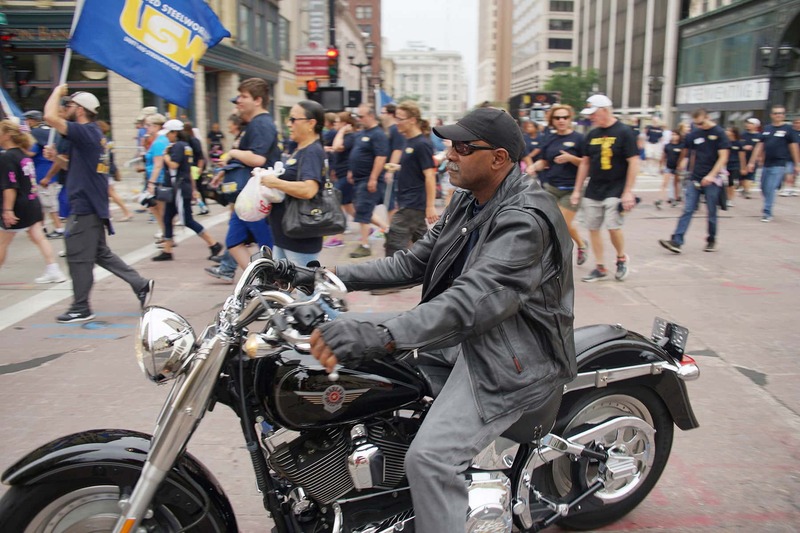 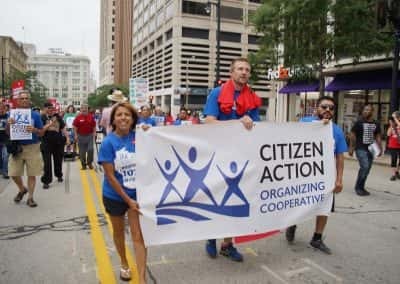 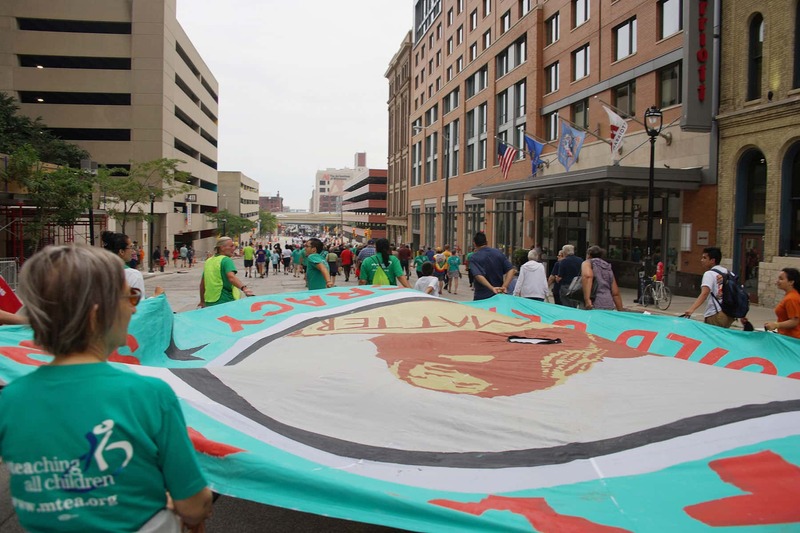 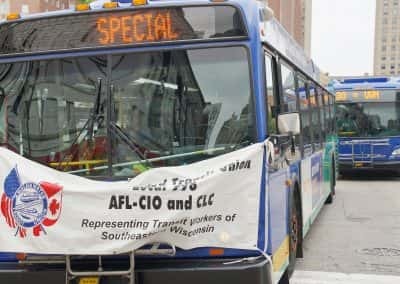 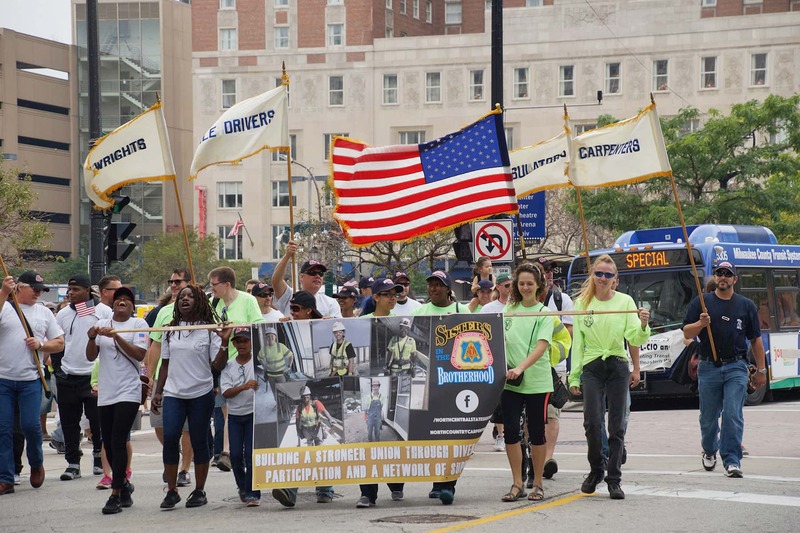 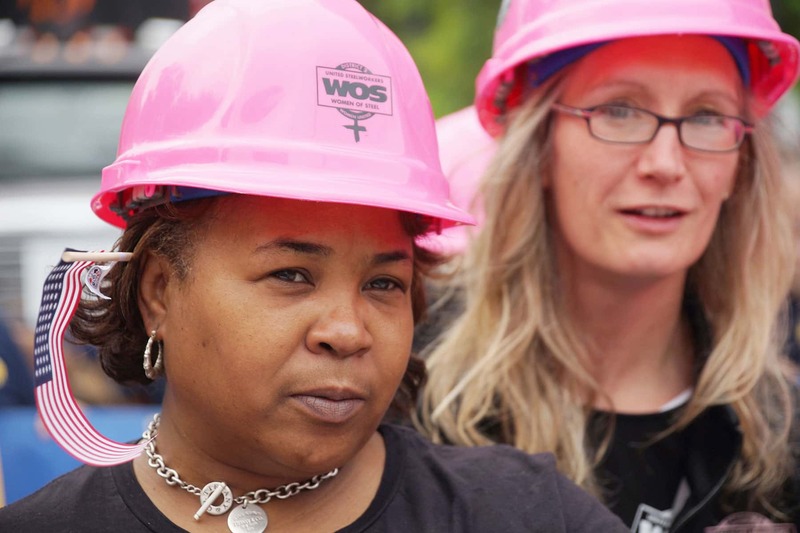 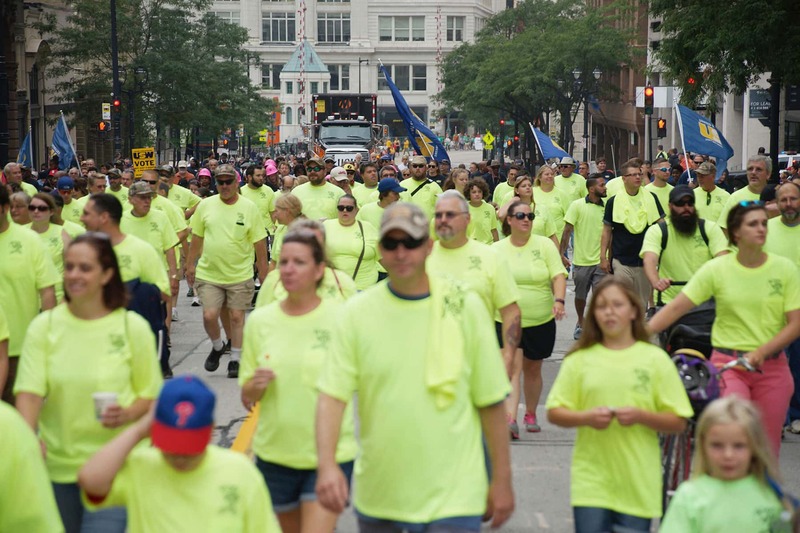 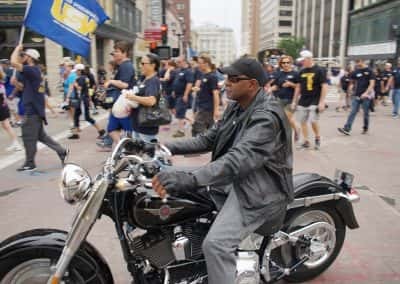 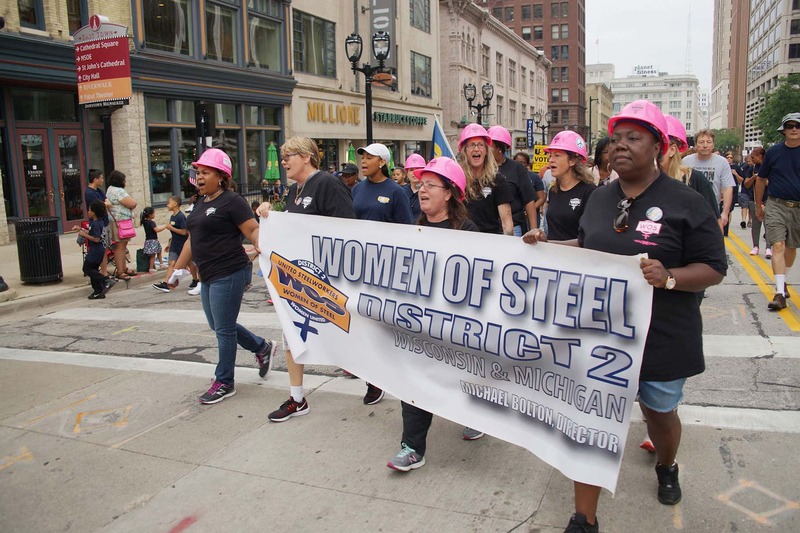 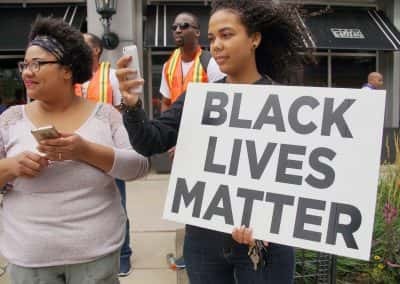 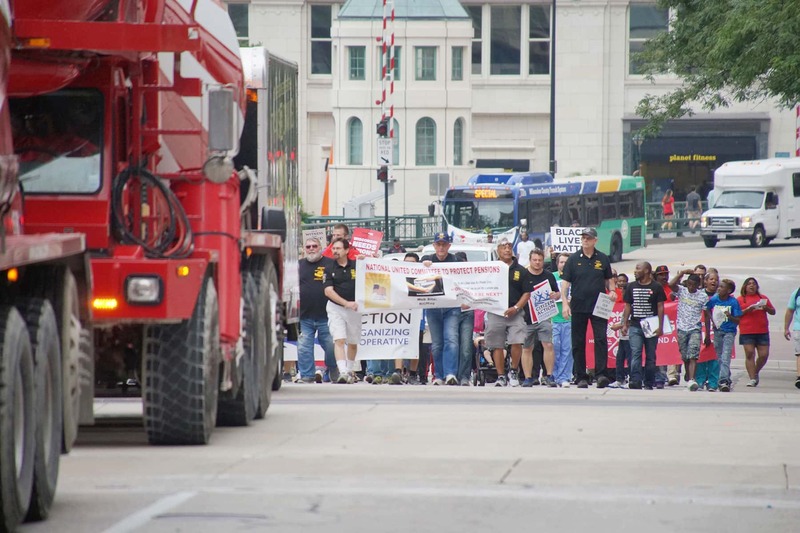 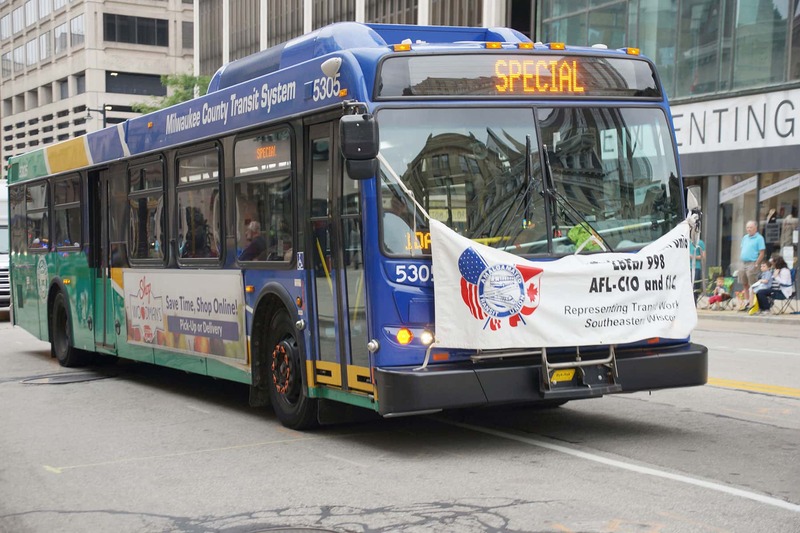 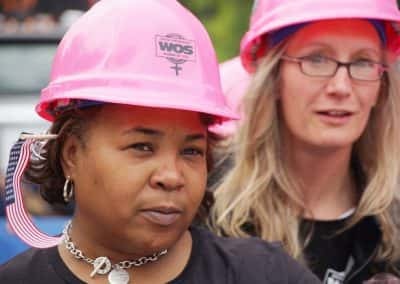 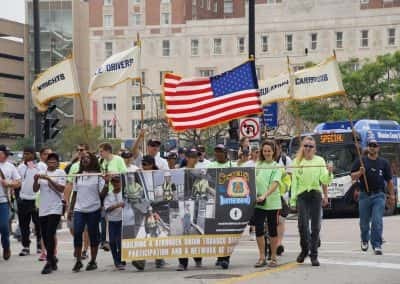 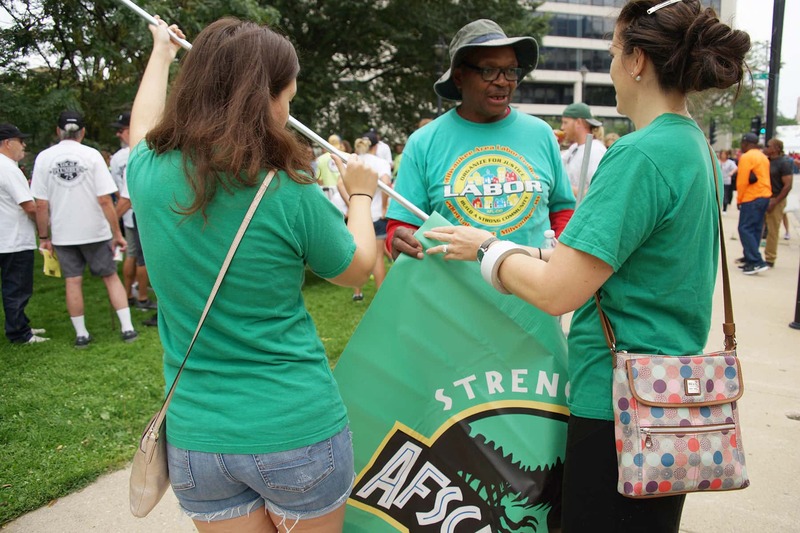 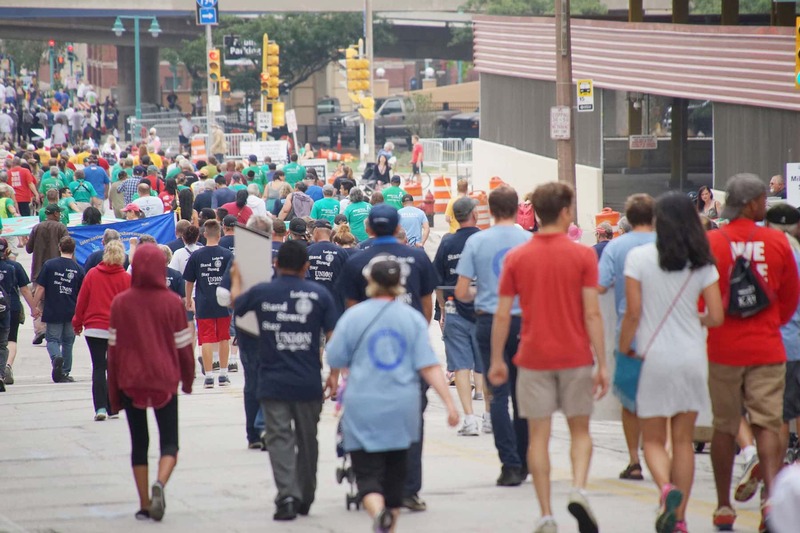 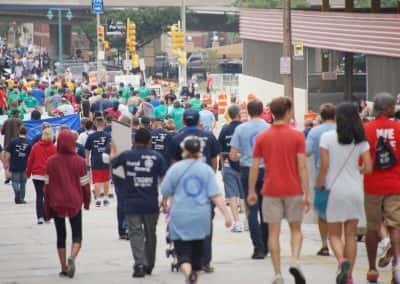 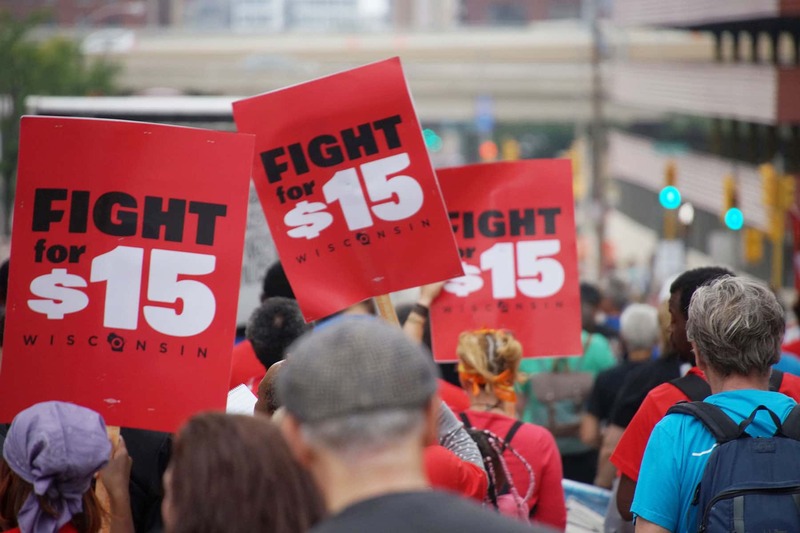 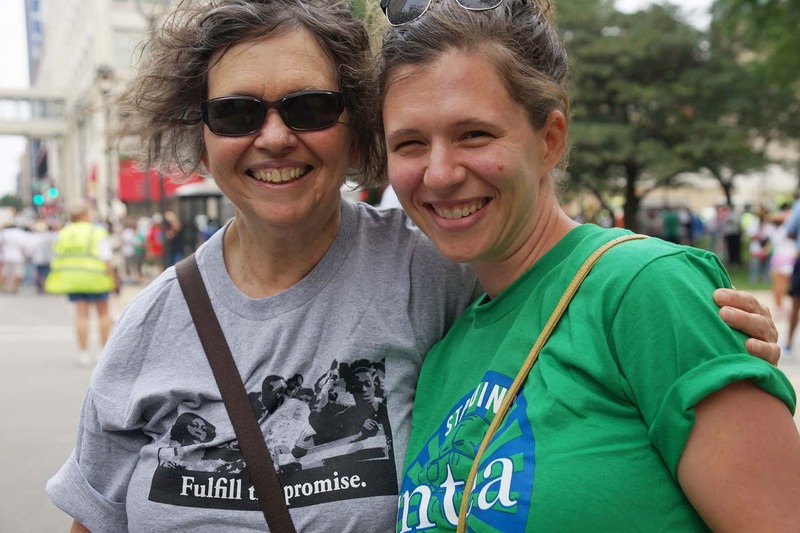 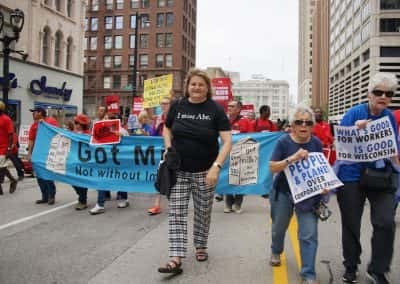 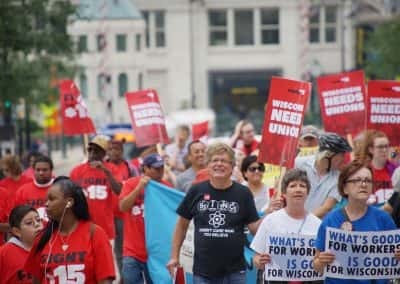 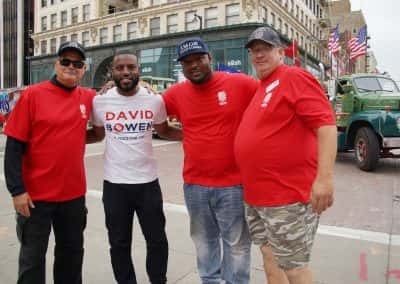 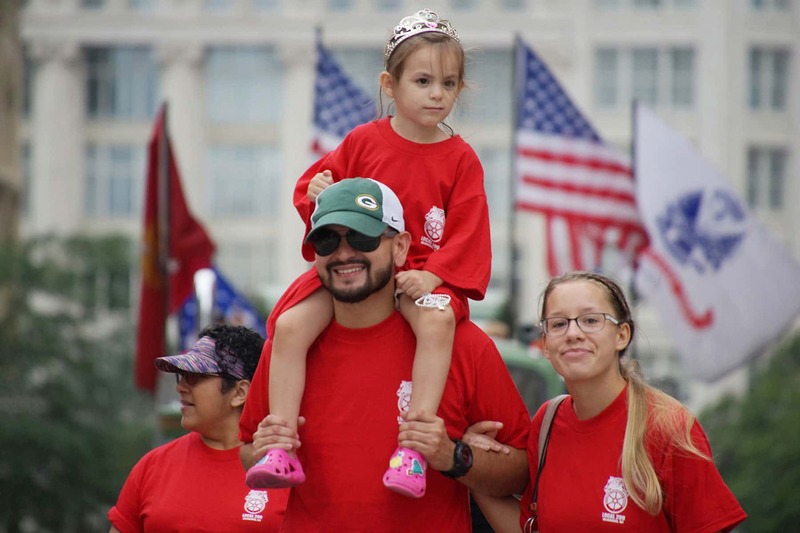 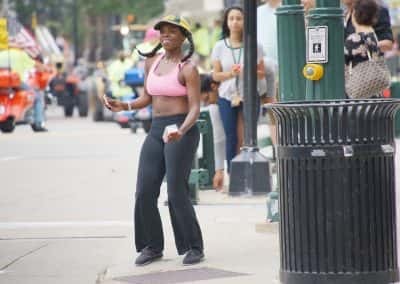 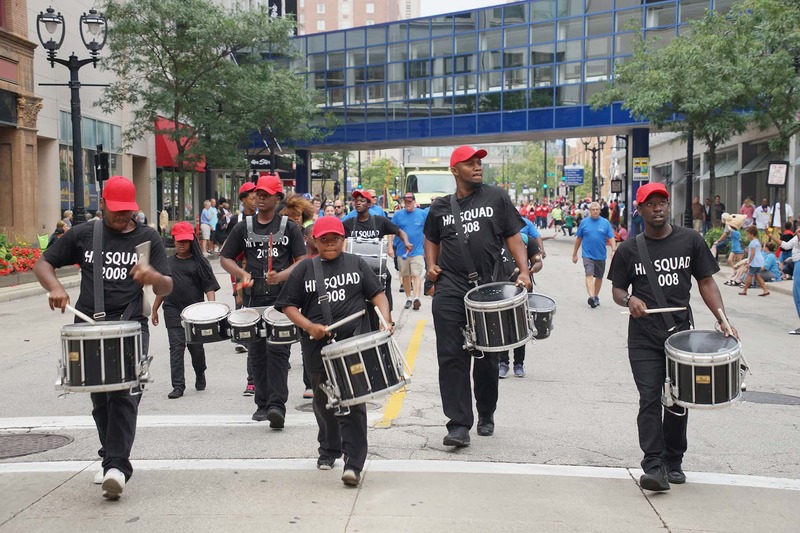 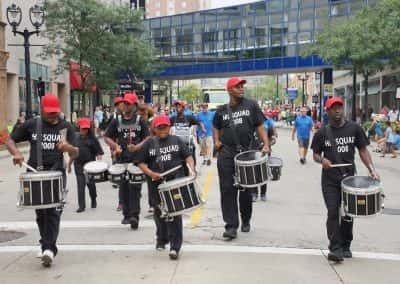 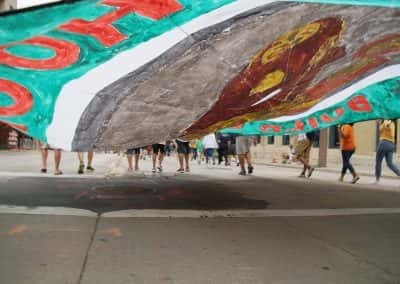 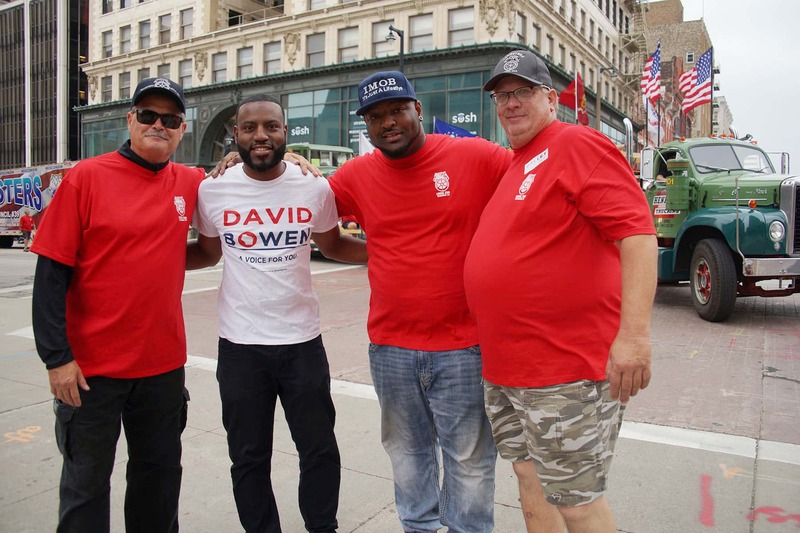 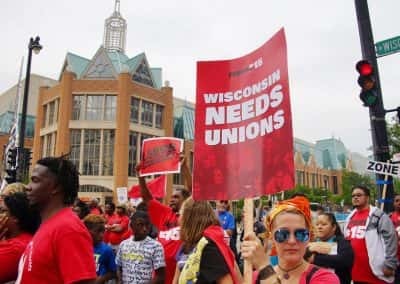 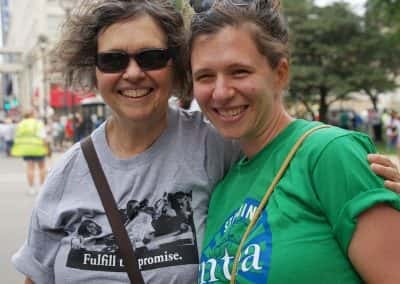 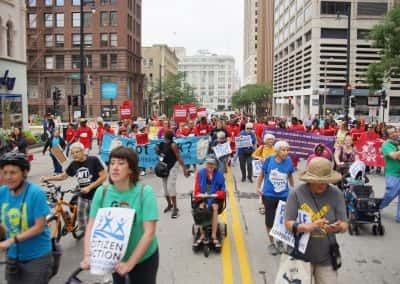 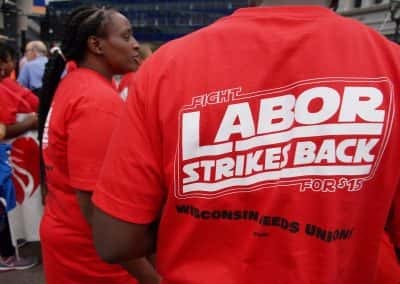 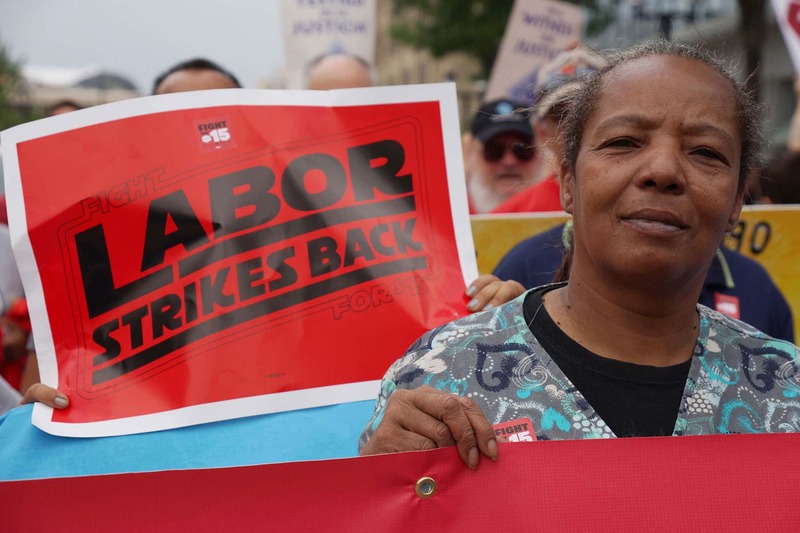 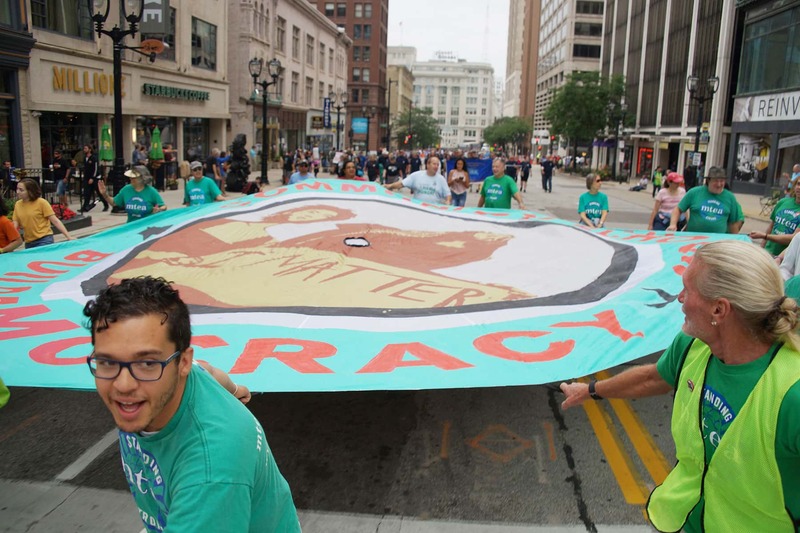 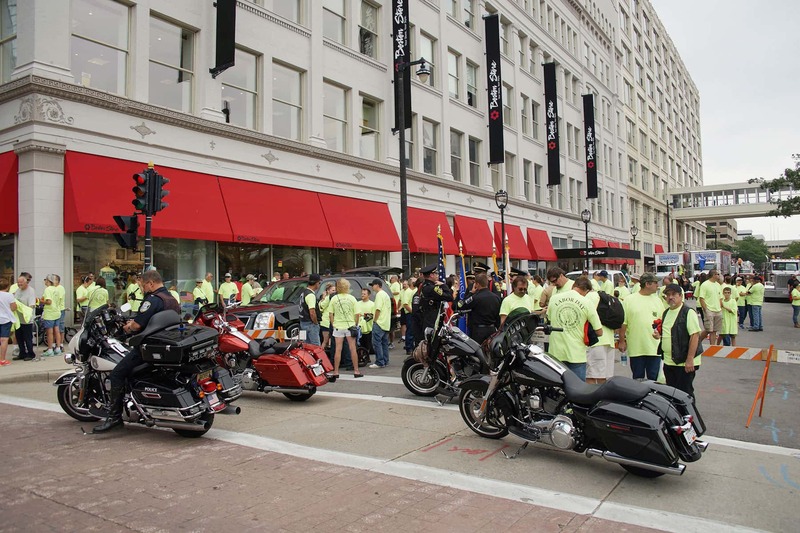 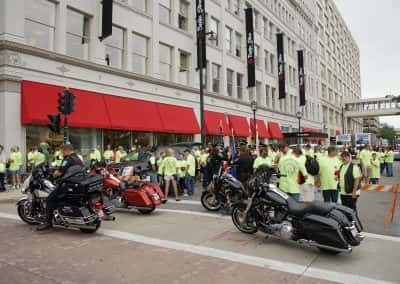 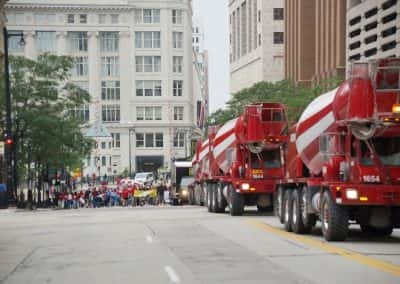 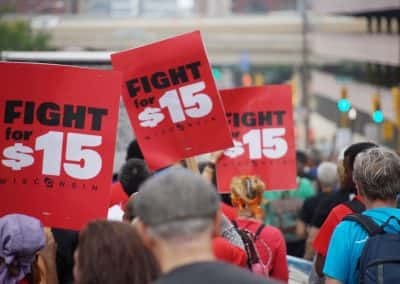 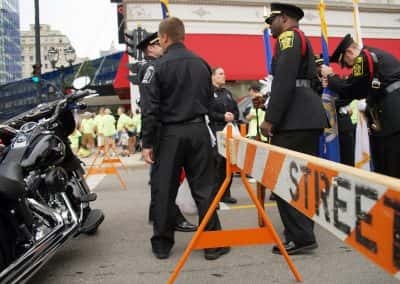 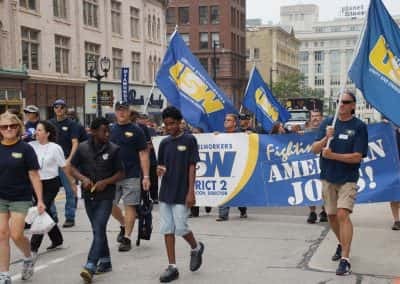 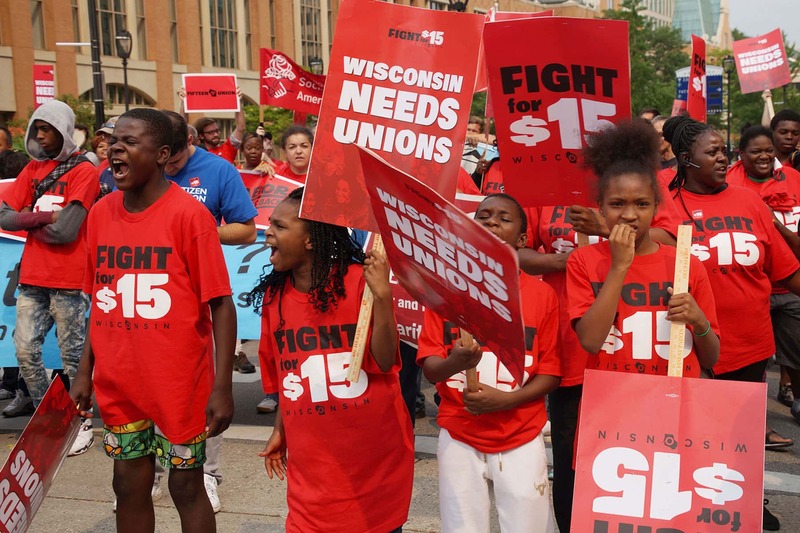 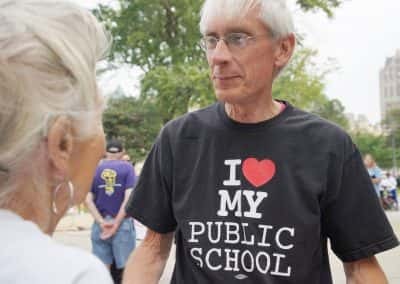 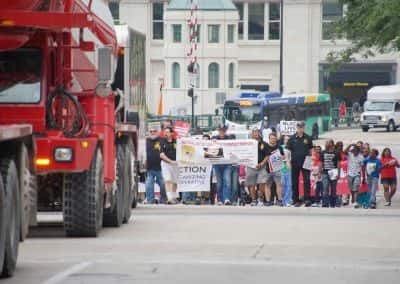 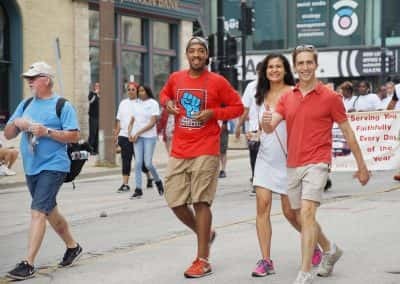 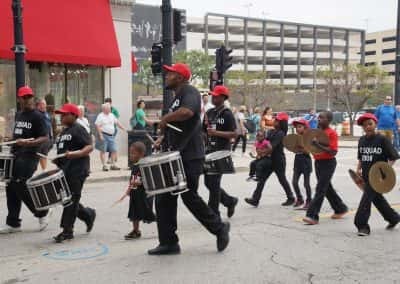 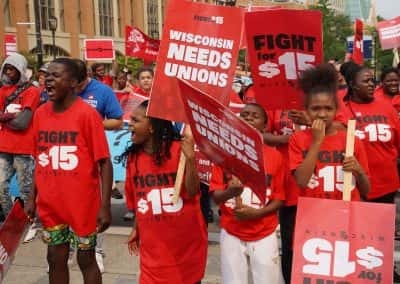 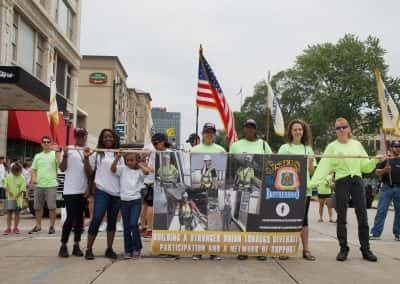 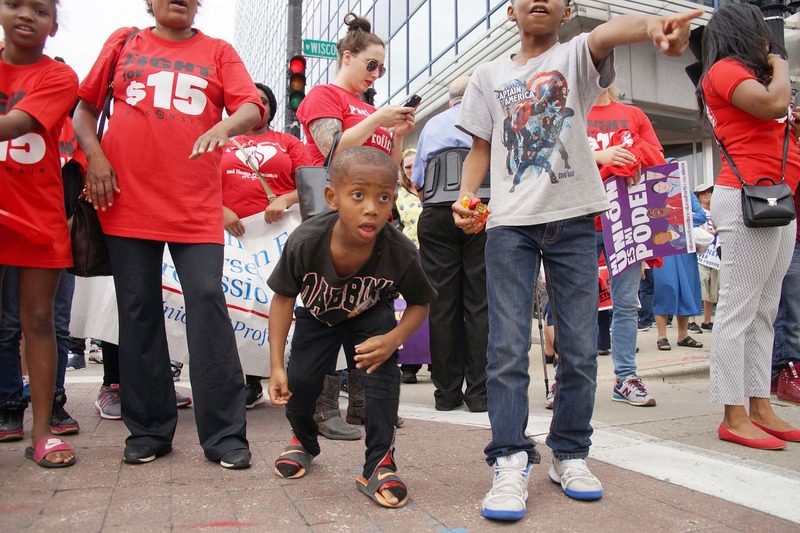 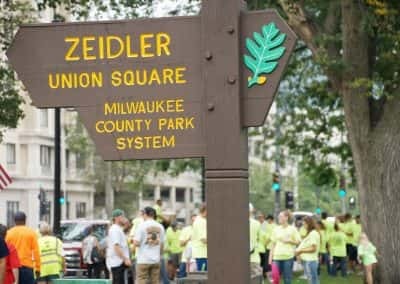 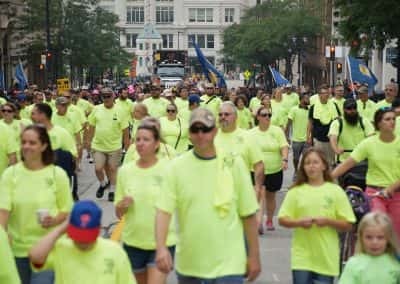 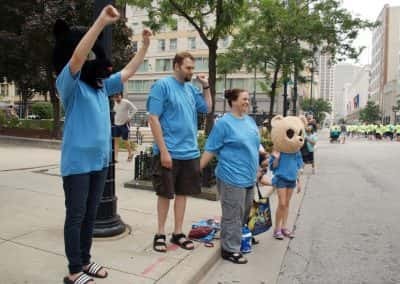 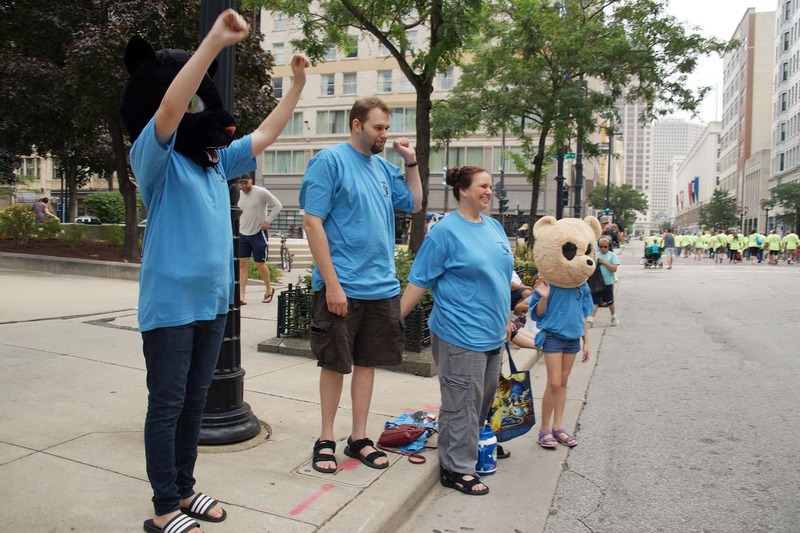 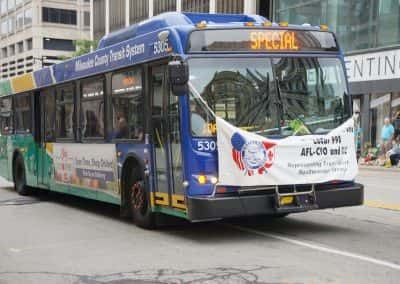 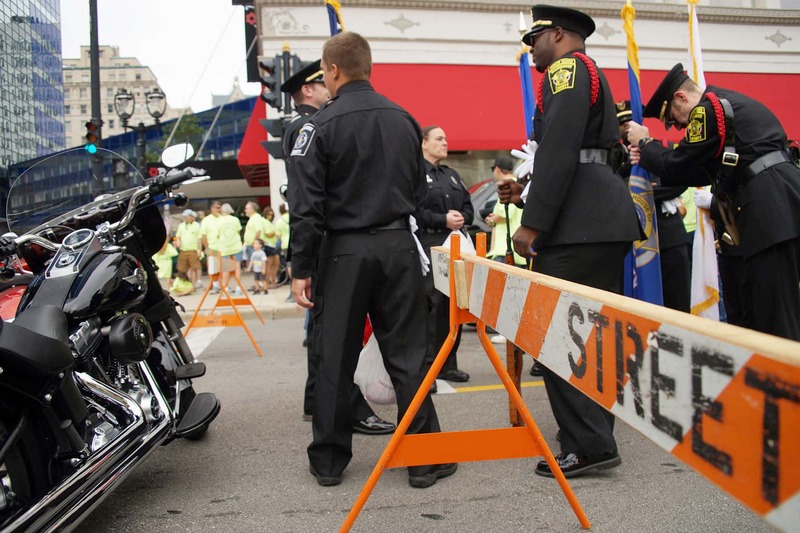 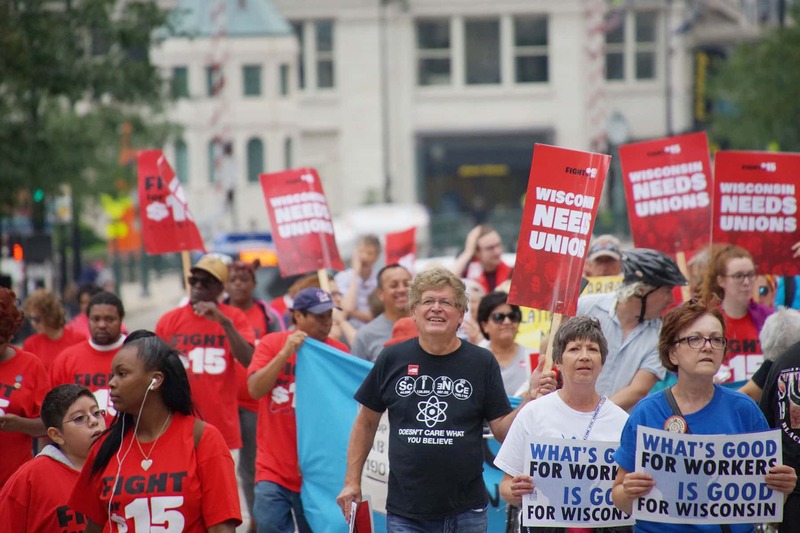 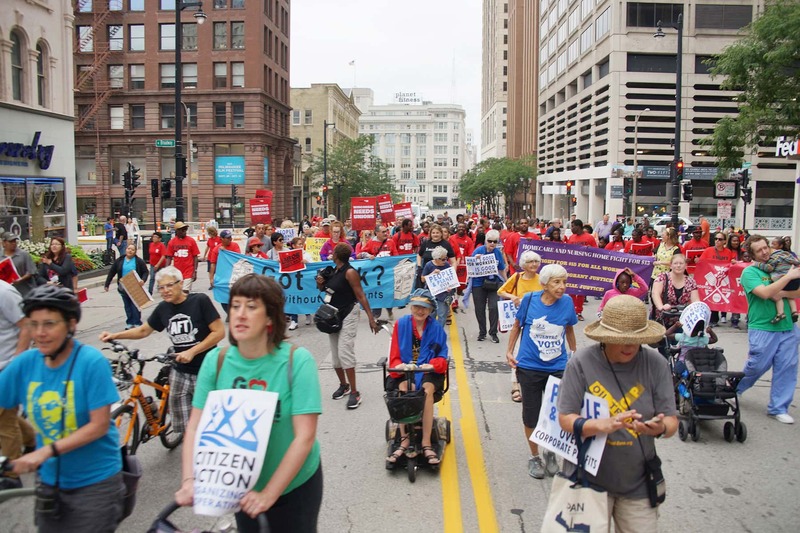 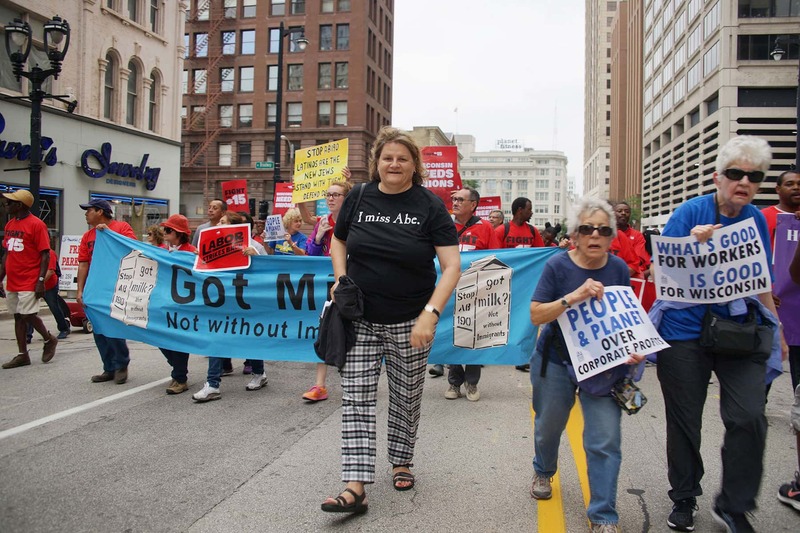 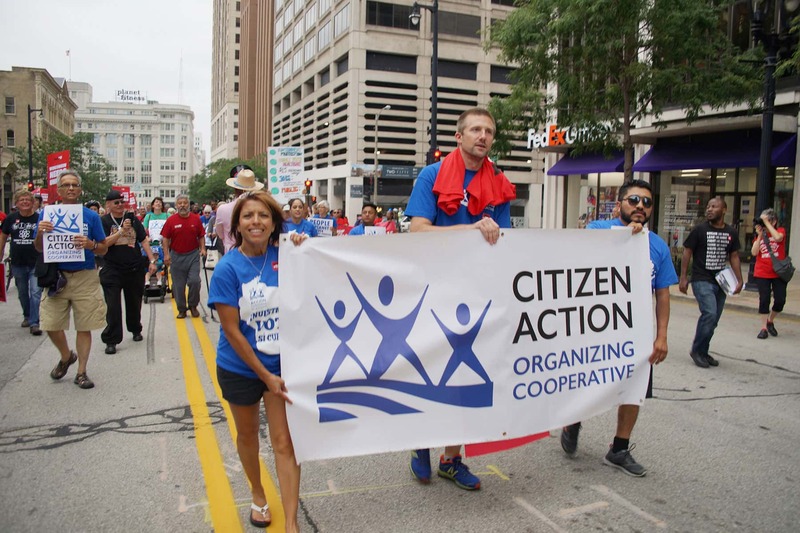 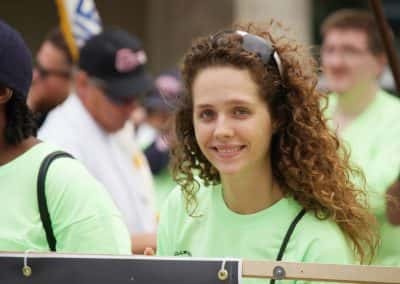 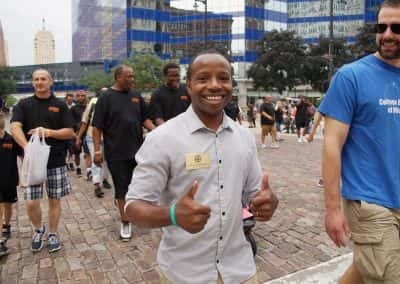 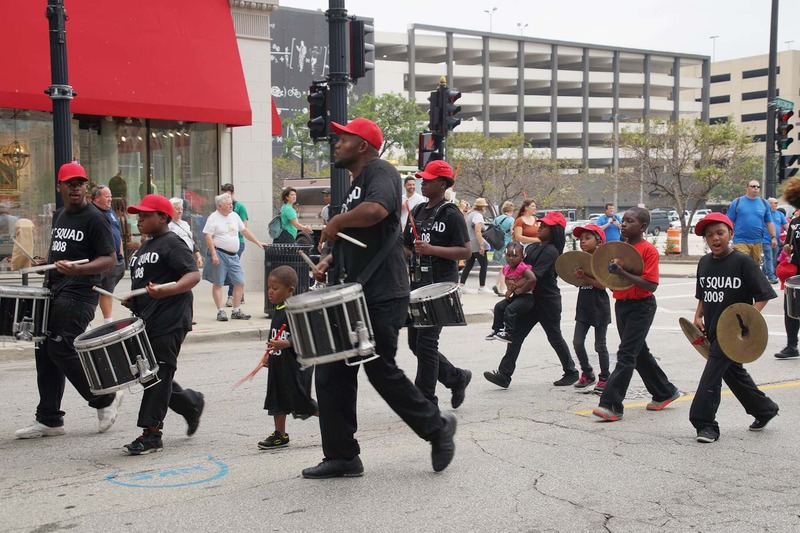 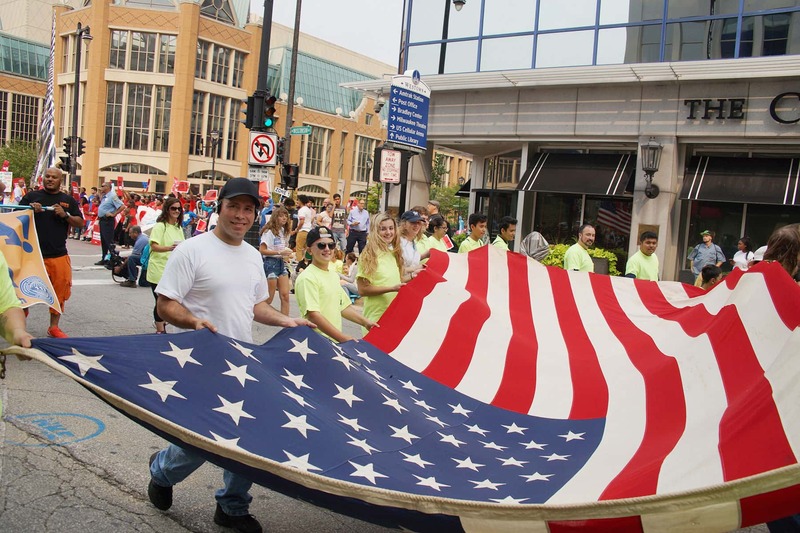 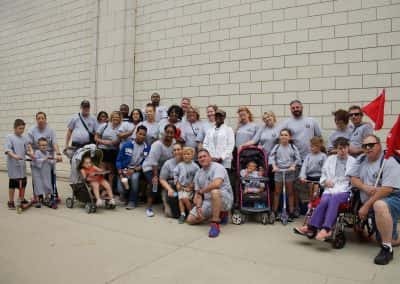 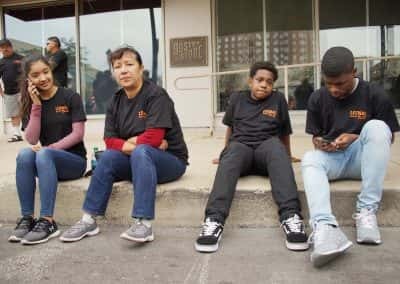 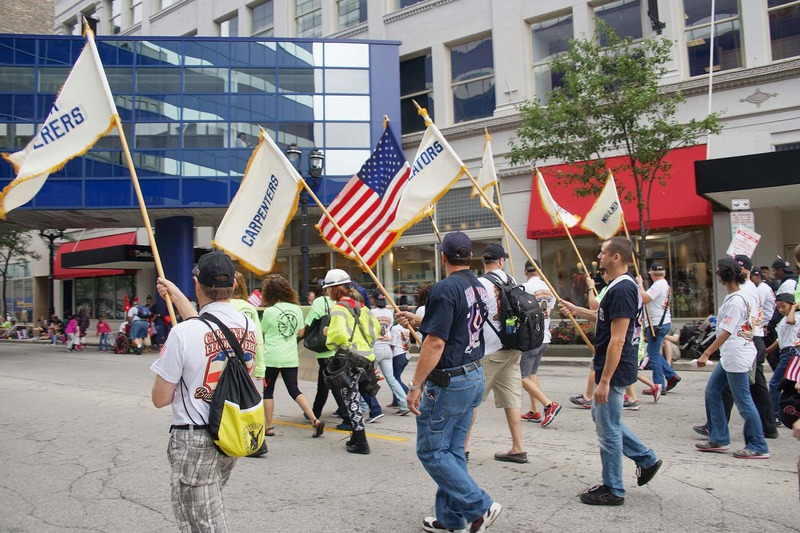 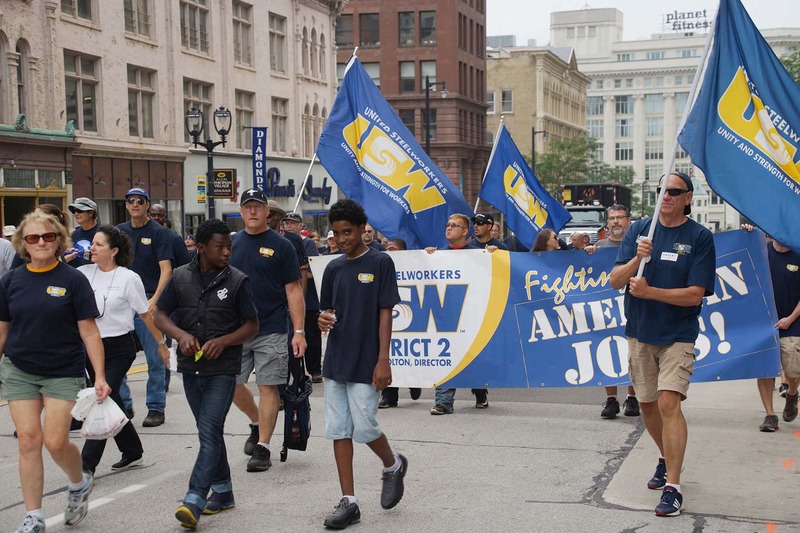 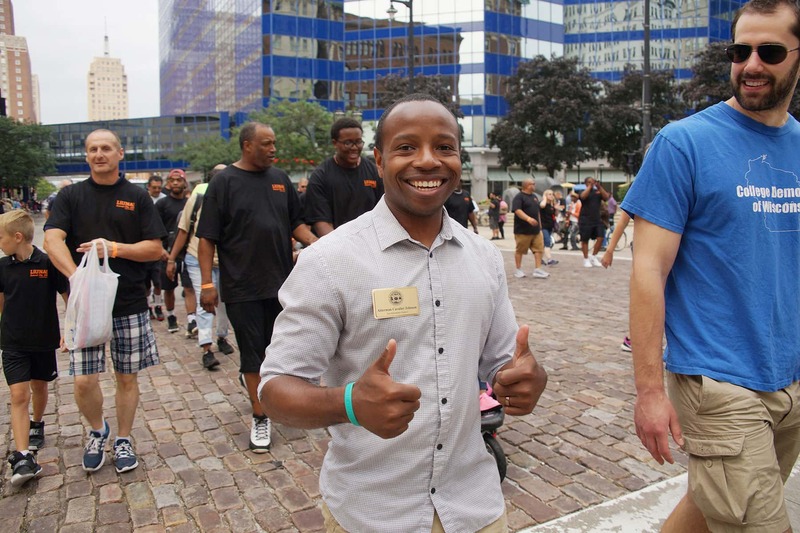 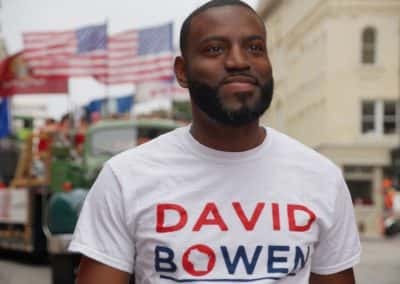 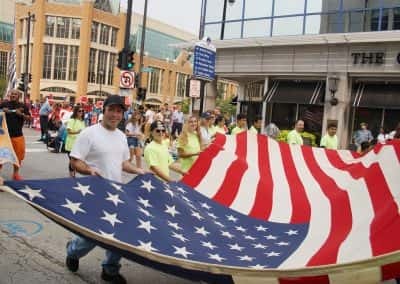 Of the thousands who marched along Wisconsin Avenue for the Labor Day Parade, hundreds of union members and fast food workers rallied to voice their concern about livable wages. 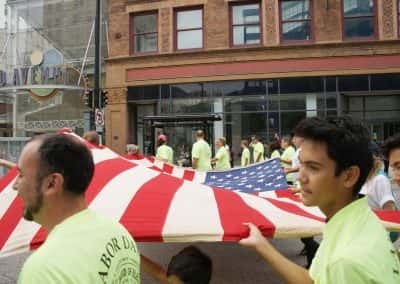 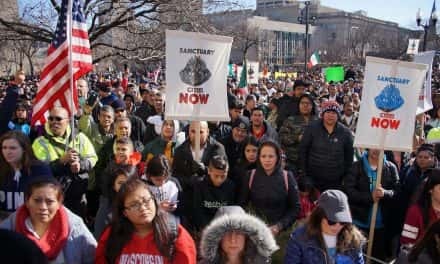 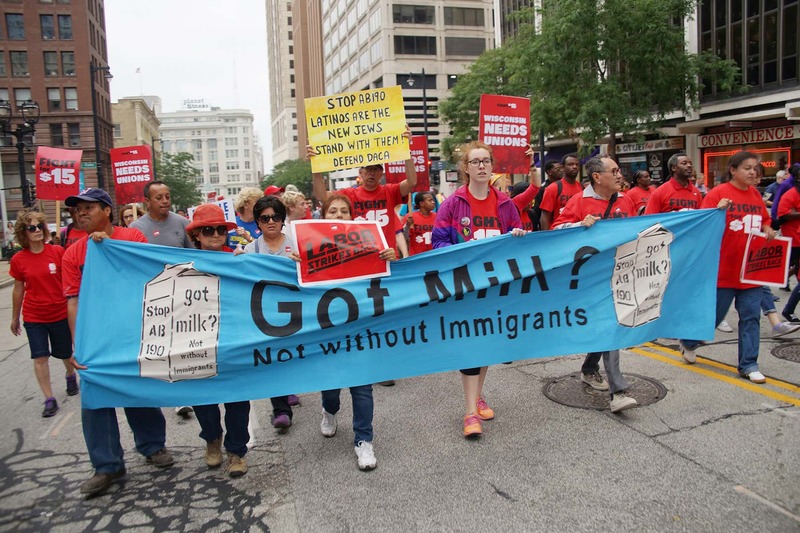 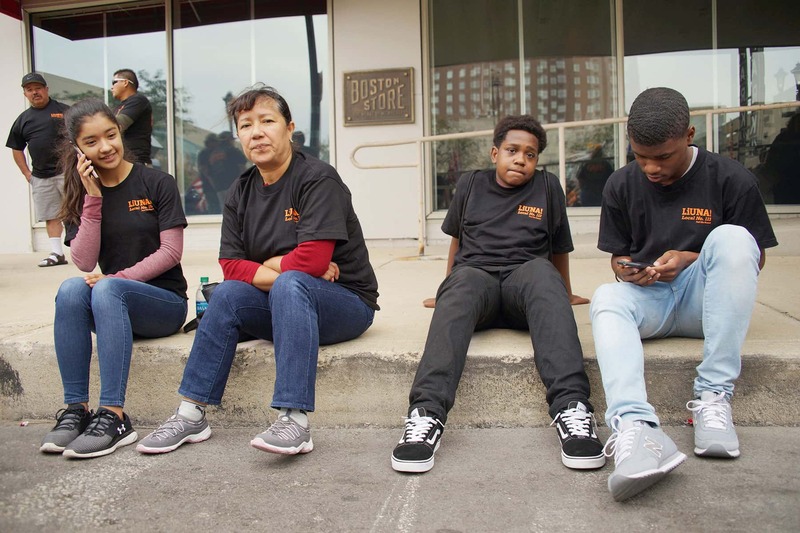 This year supporters and members of Voces de la Frontera joined the Labor Day Fight for $15 National Day of Action to march for equitable wages, the right to organize, and to protest the anti-immigrant bill AB190. 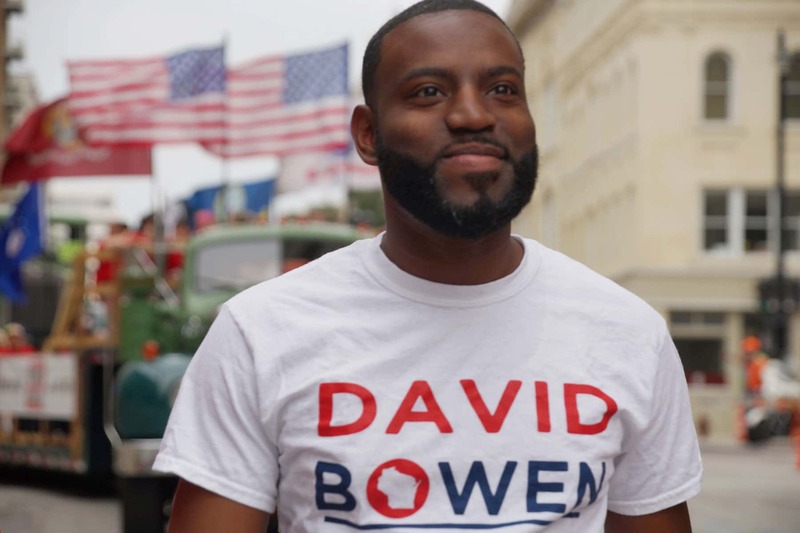 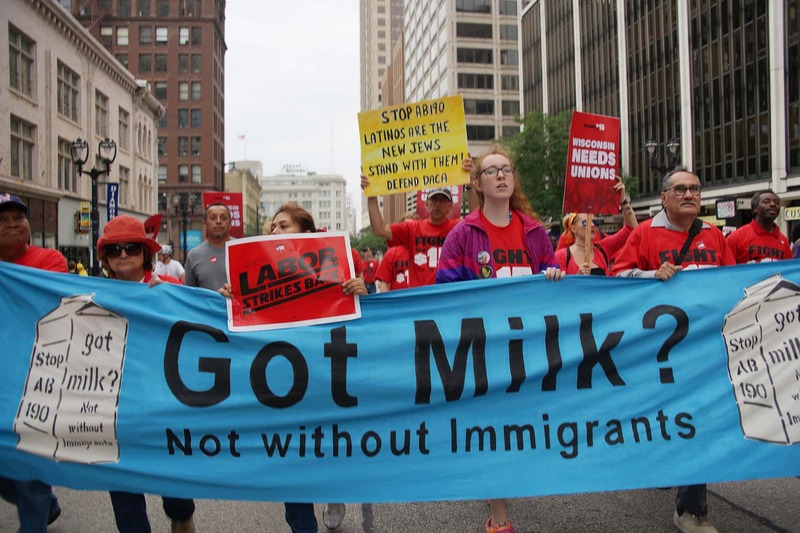 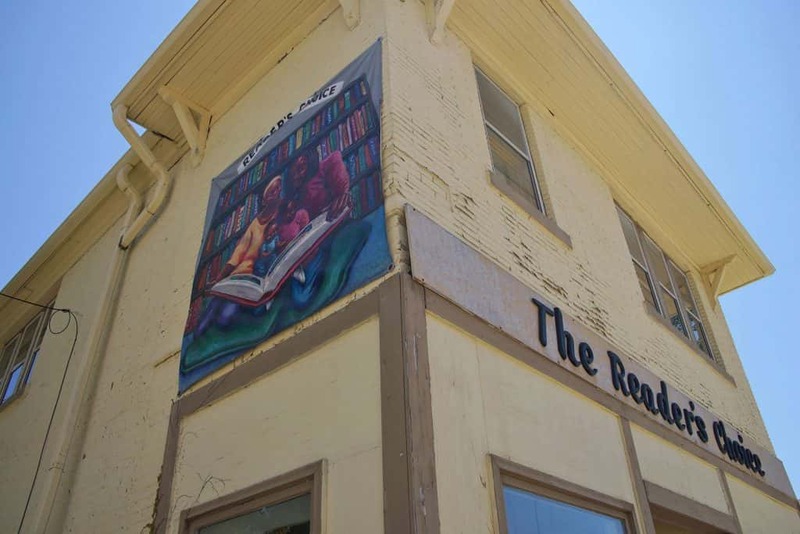 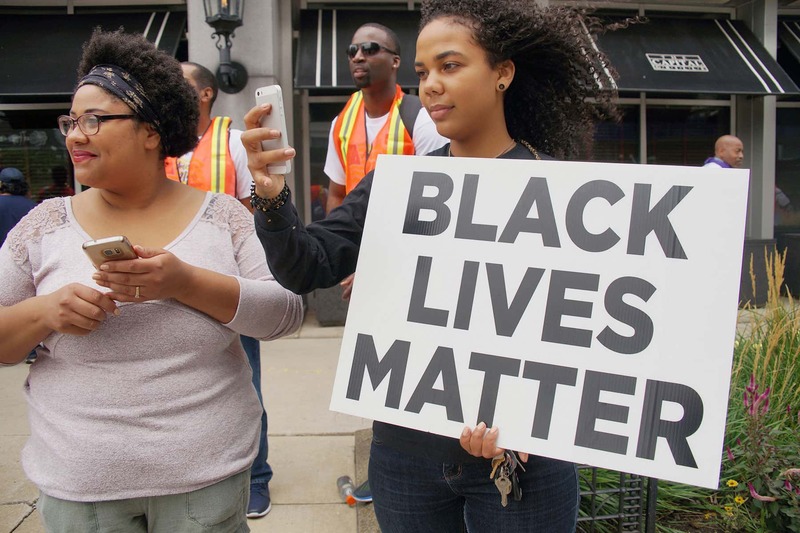 AB190 require local law enforcement to racially profile and detain community members for deportation, and would force local governments to turn immigrant community members over to ICE. 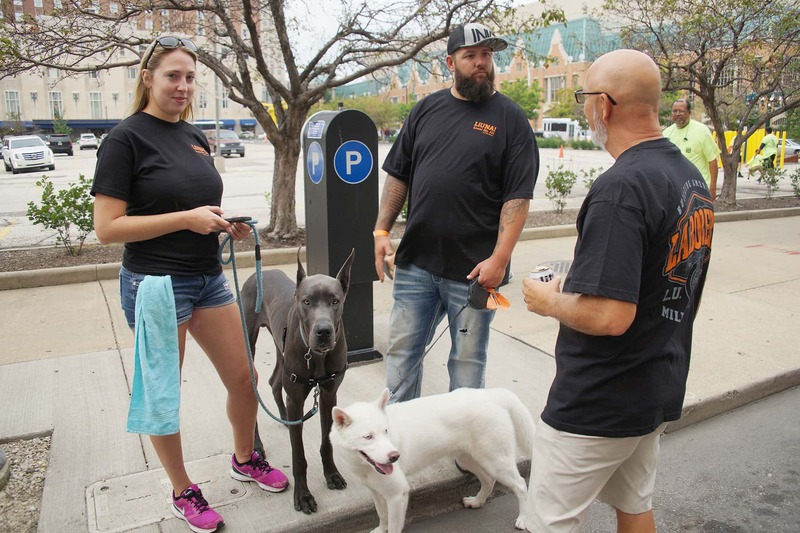 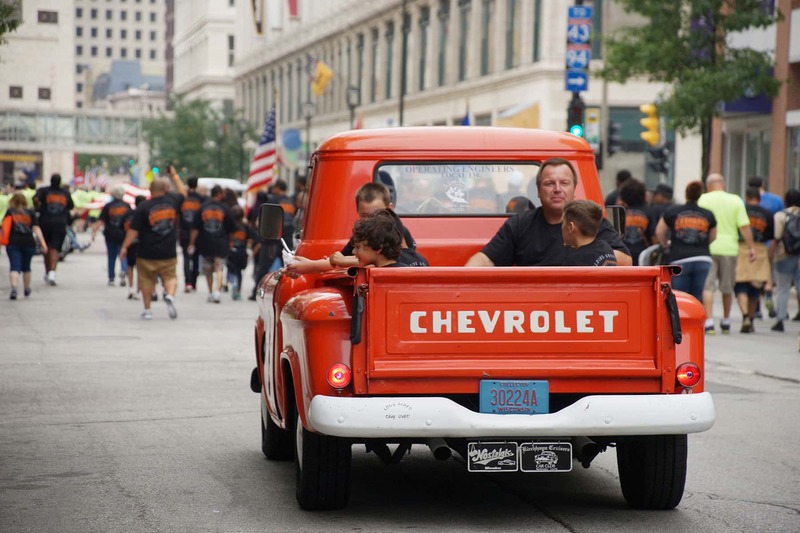 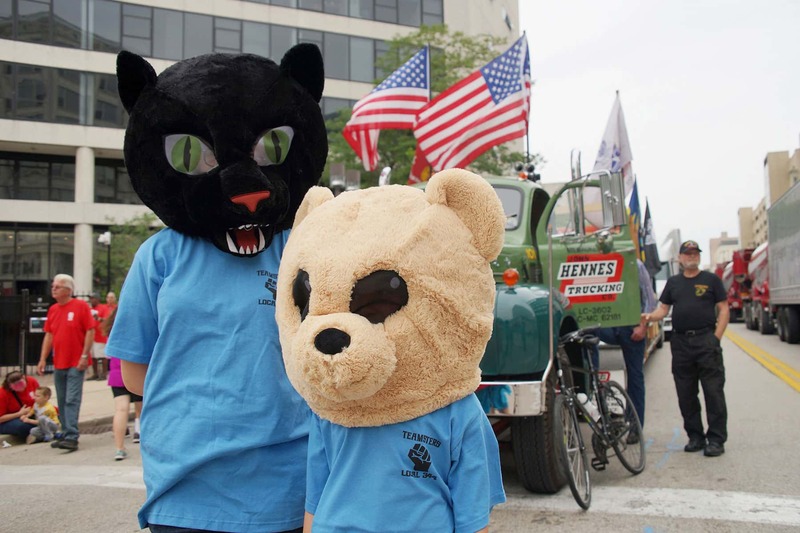 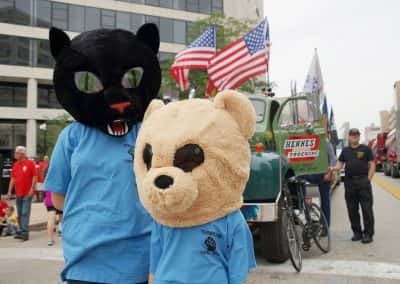 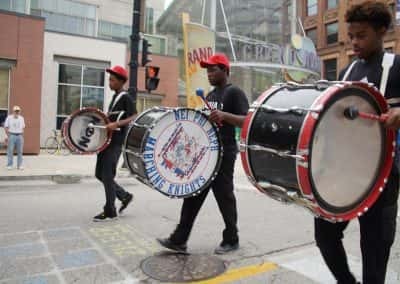 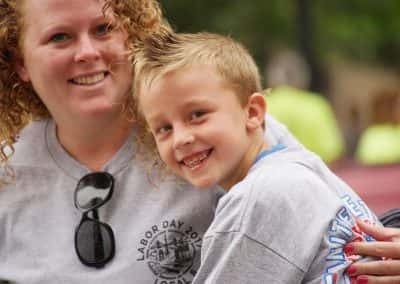 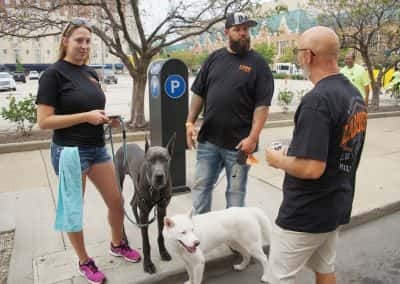 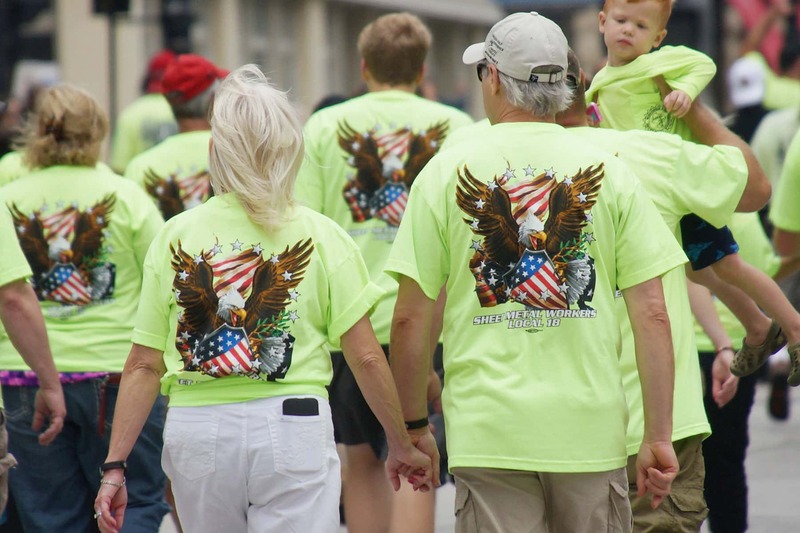 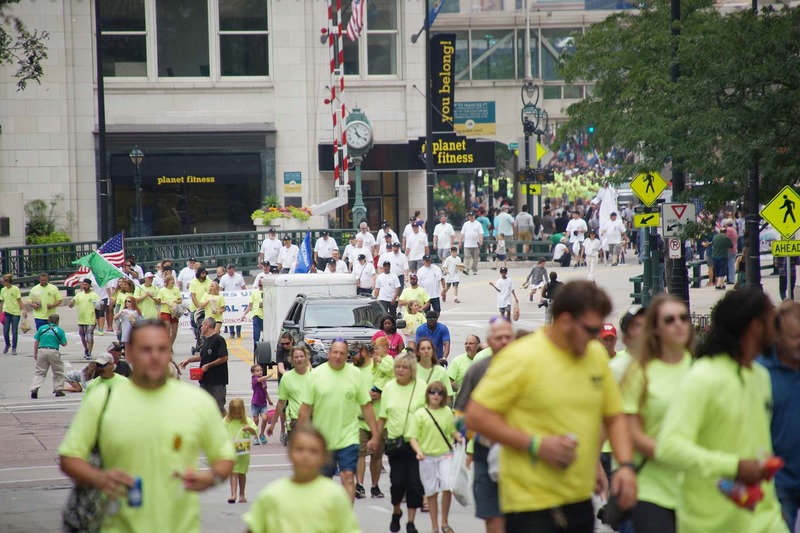 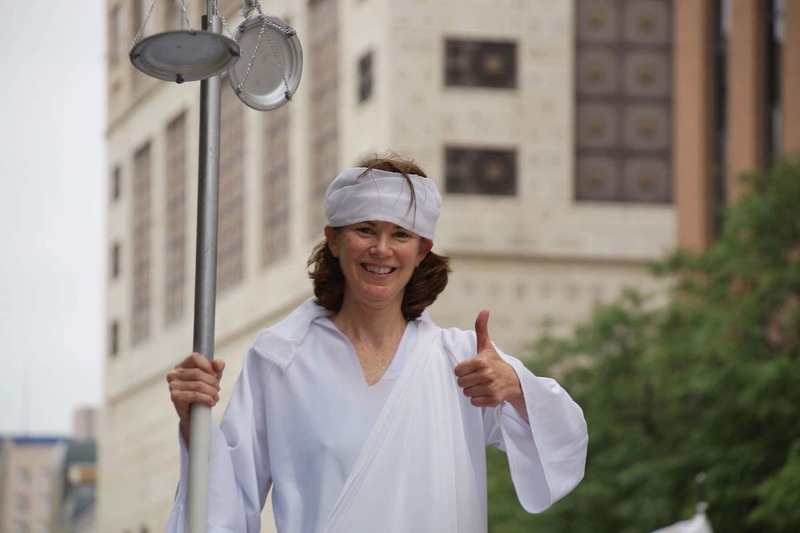 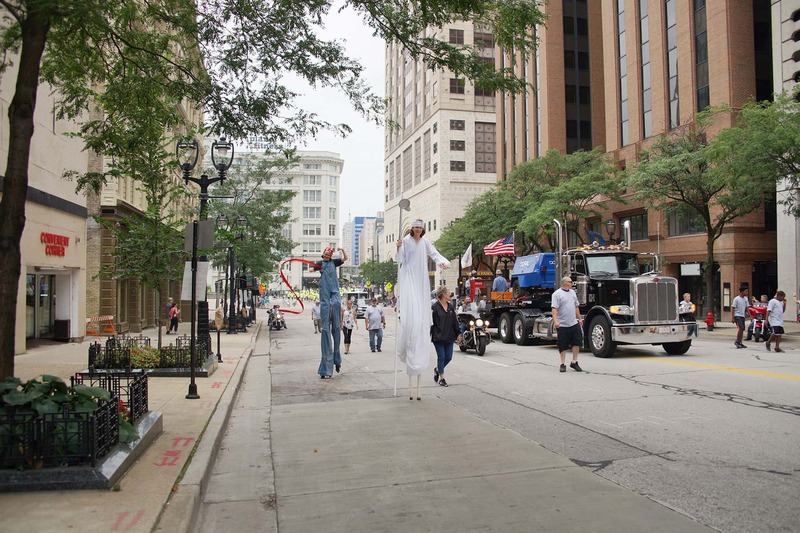 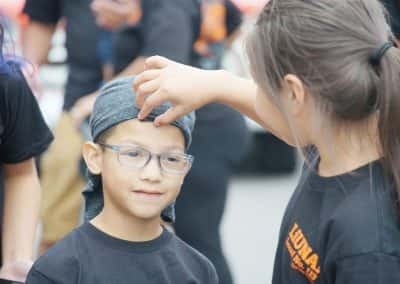 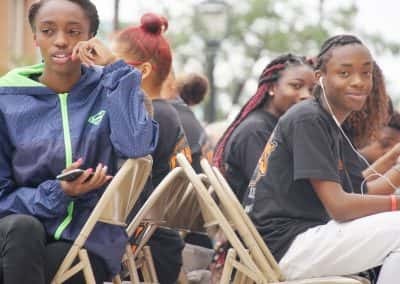 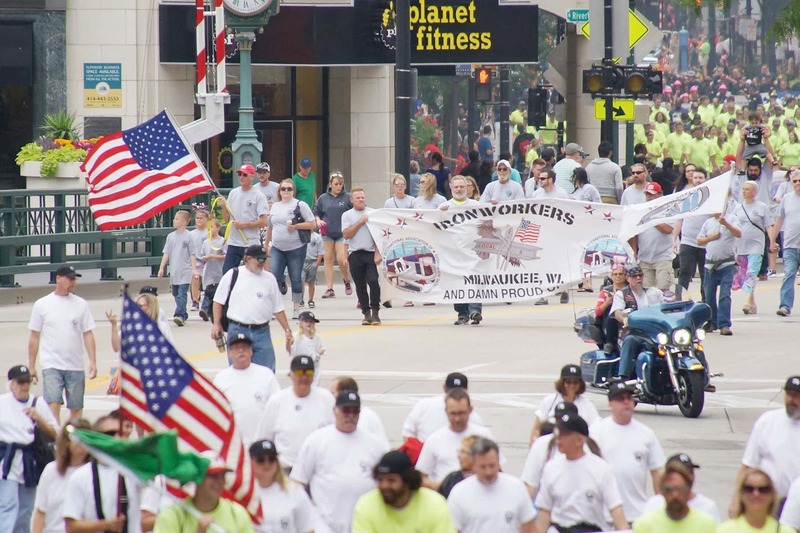 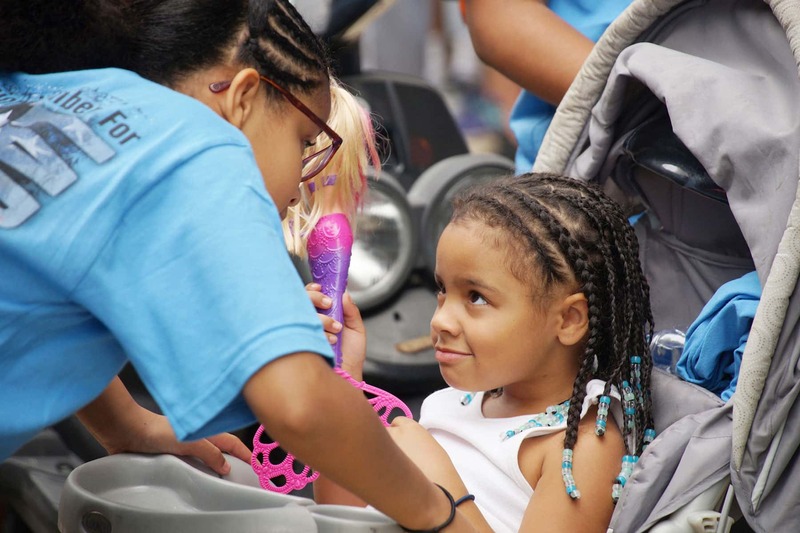 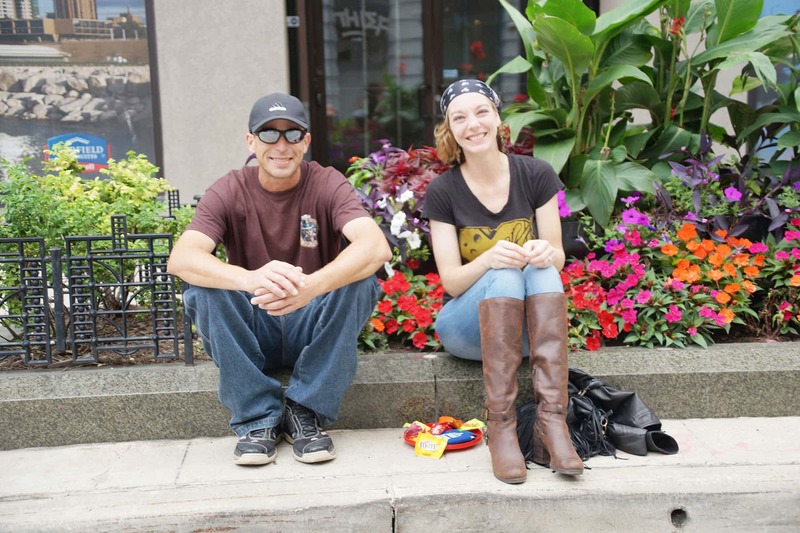 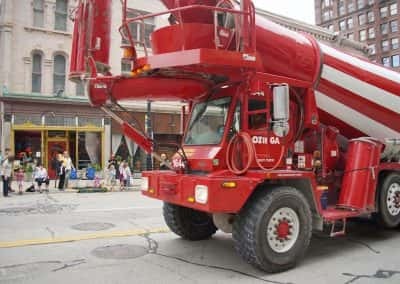 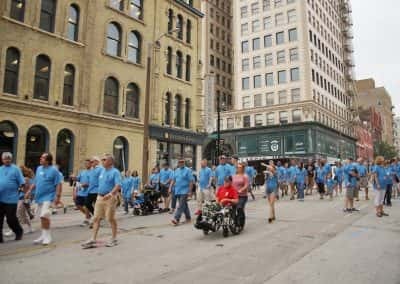 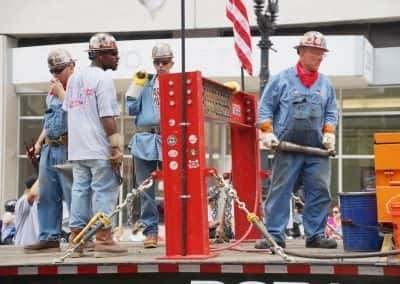 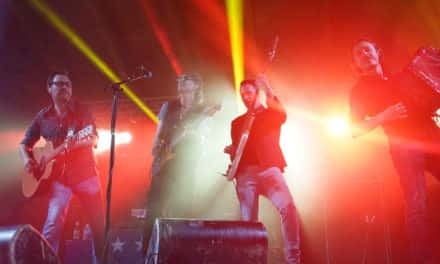 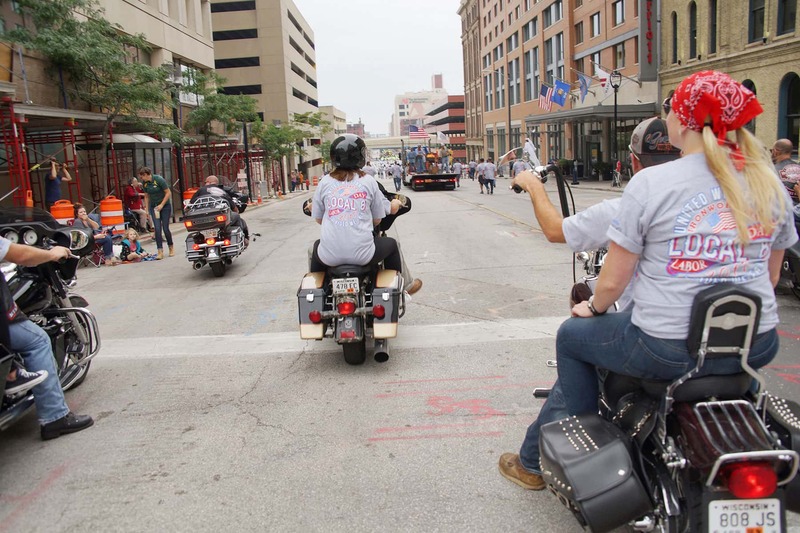 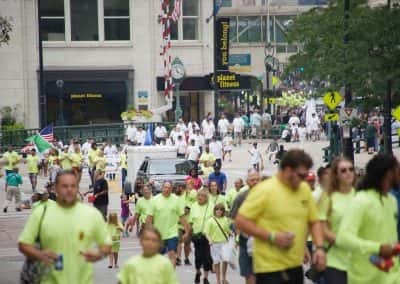 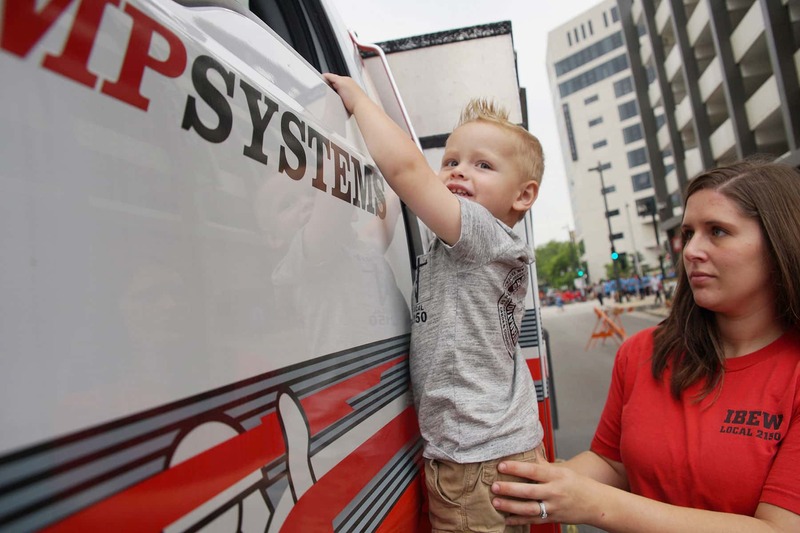 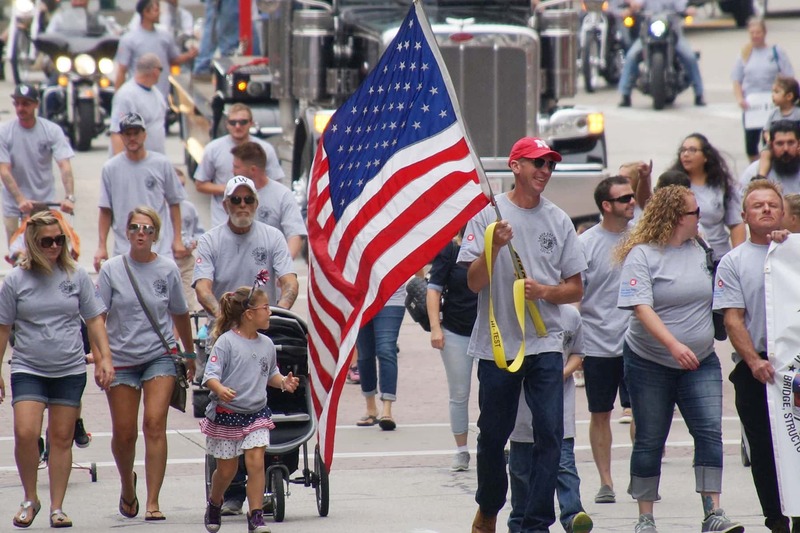 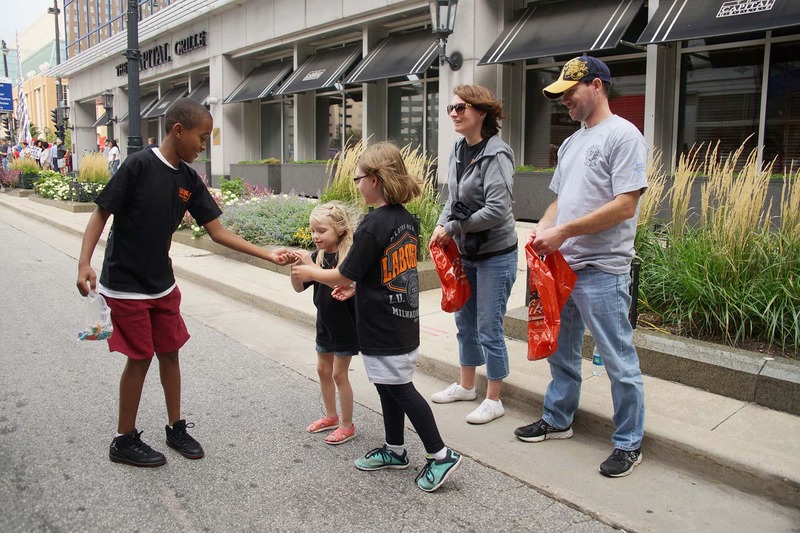 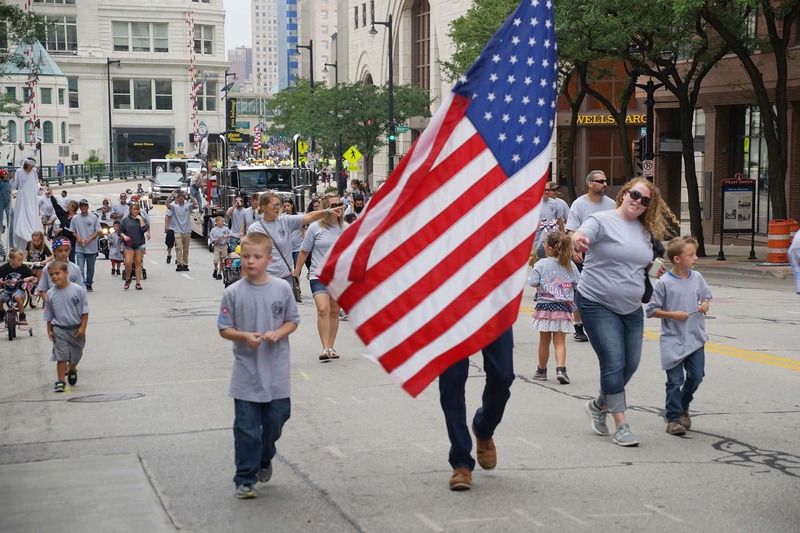 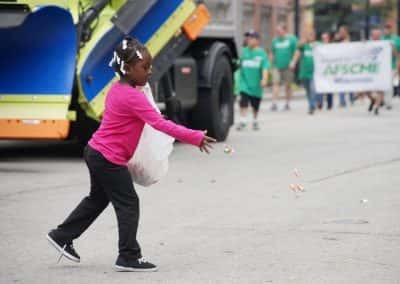 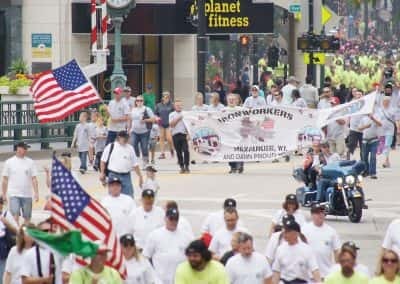 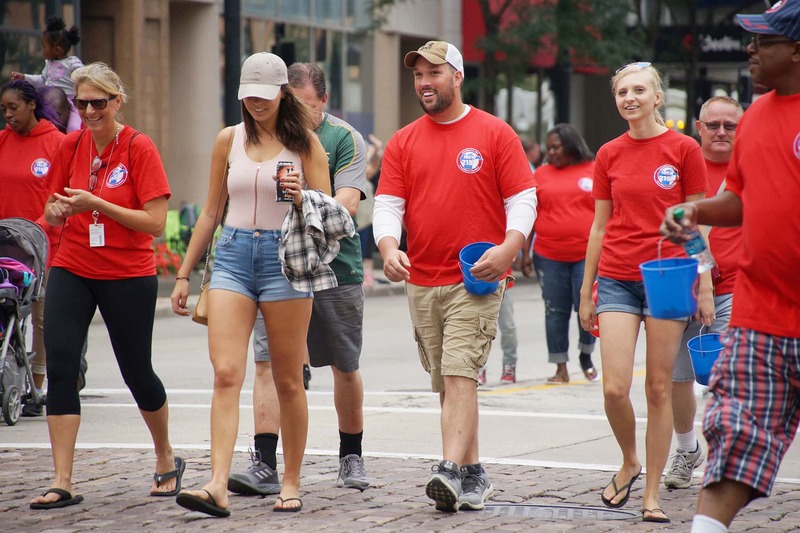 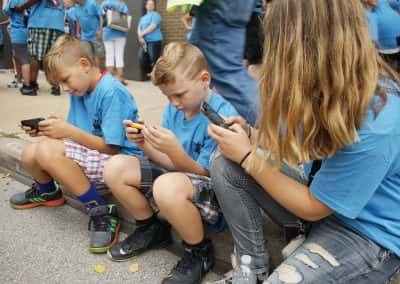 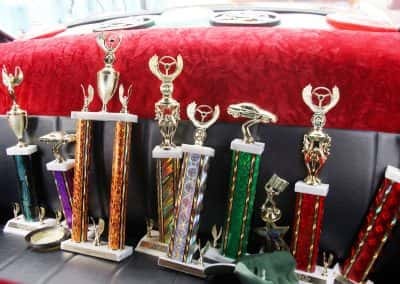 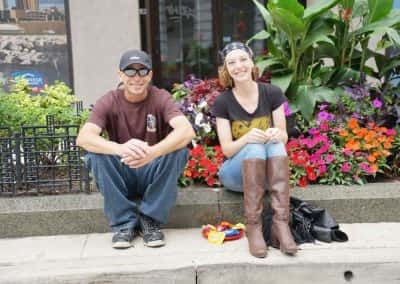 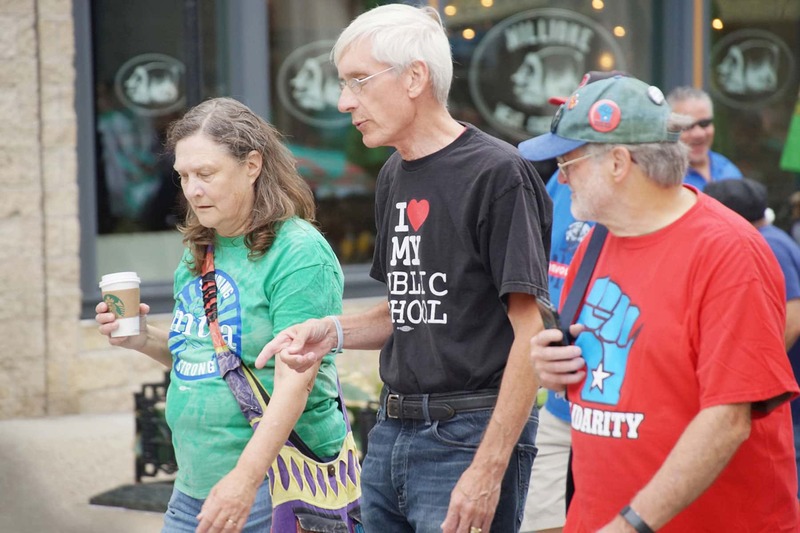 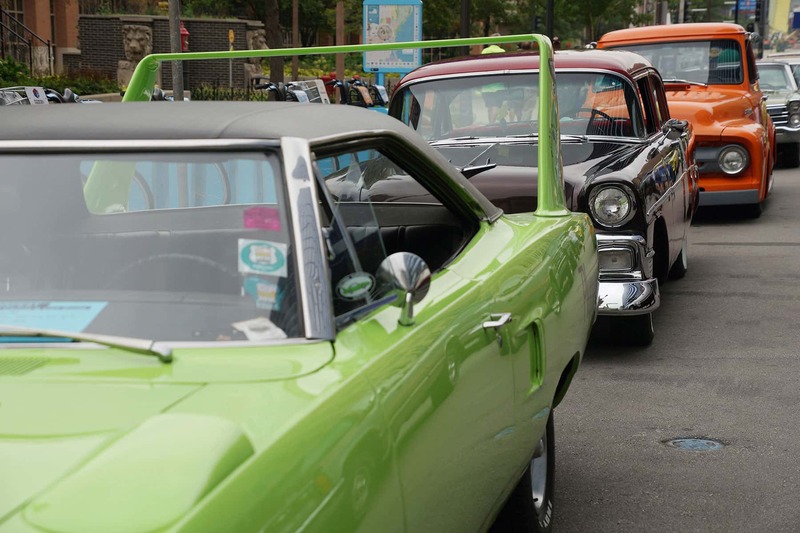 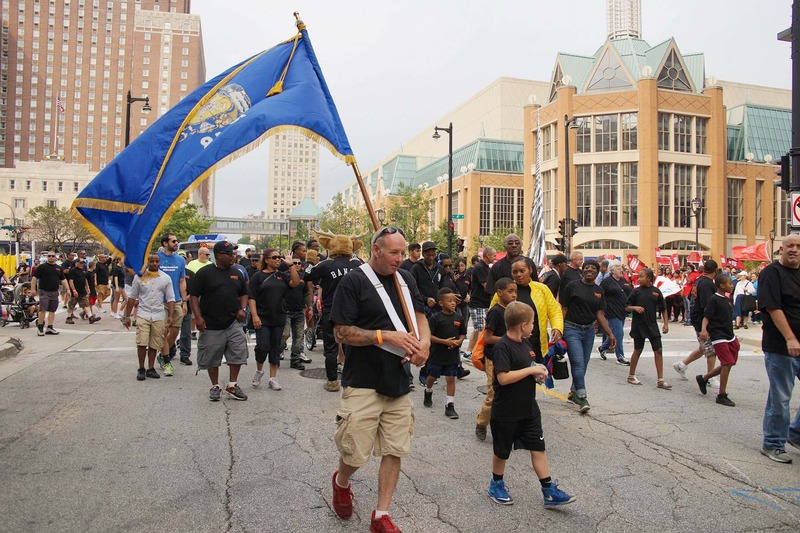 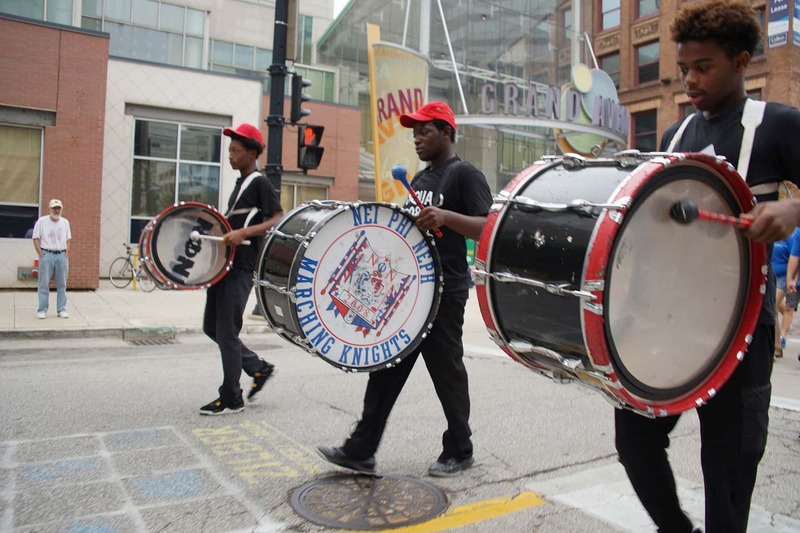 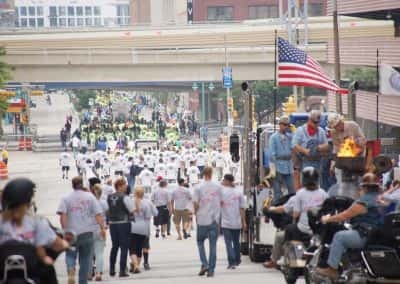 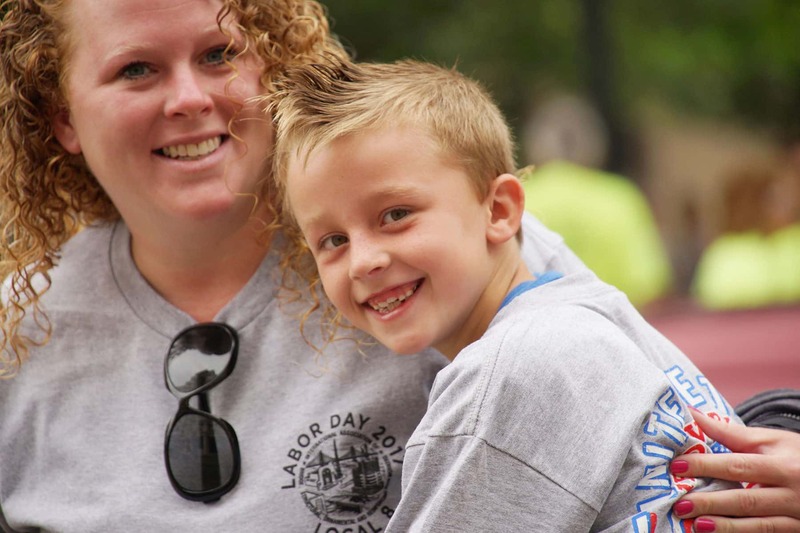 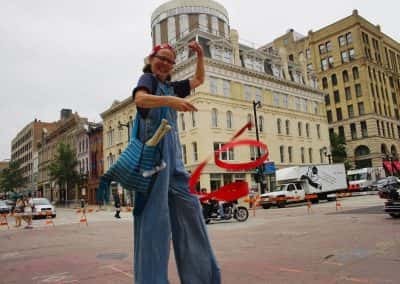 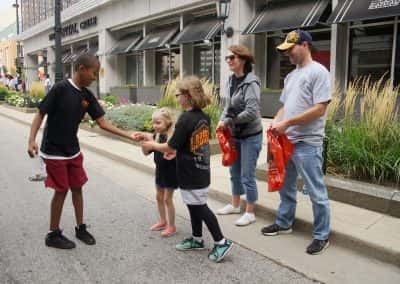 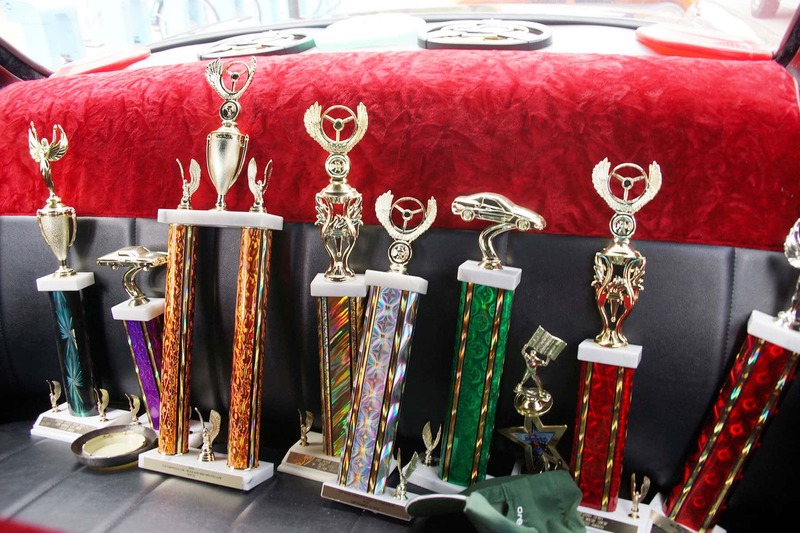 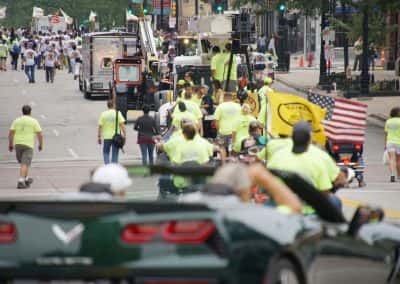 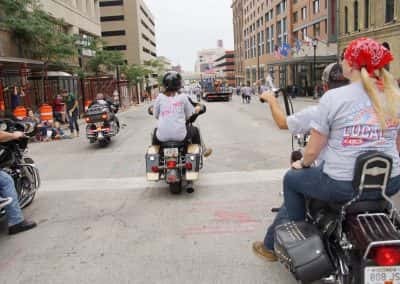 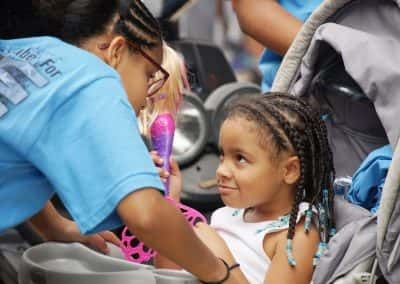 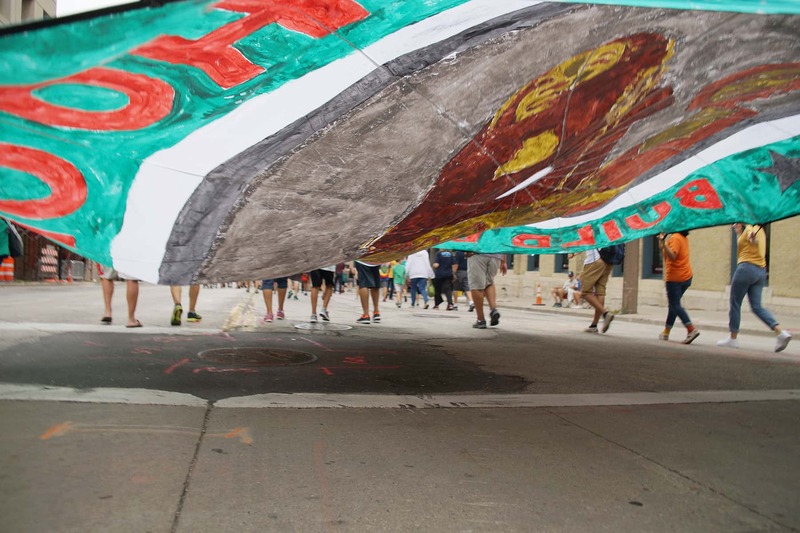 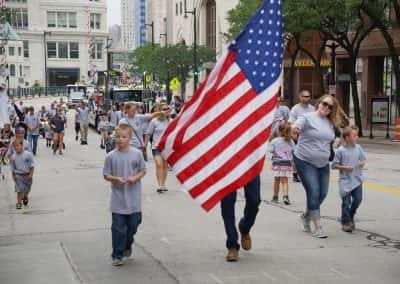 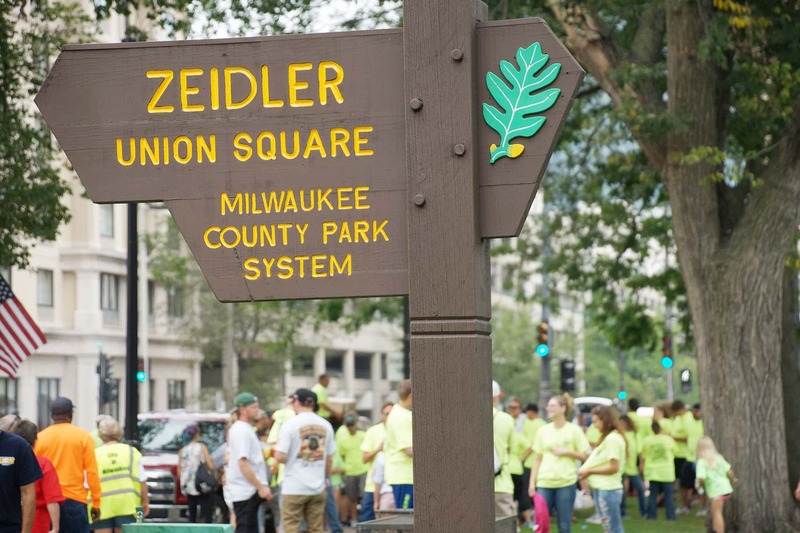 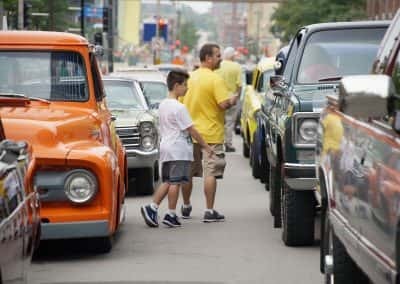 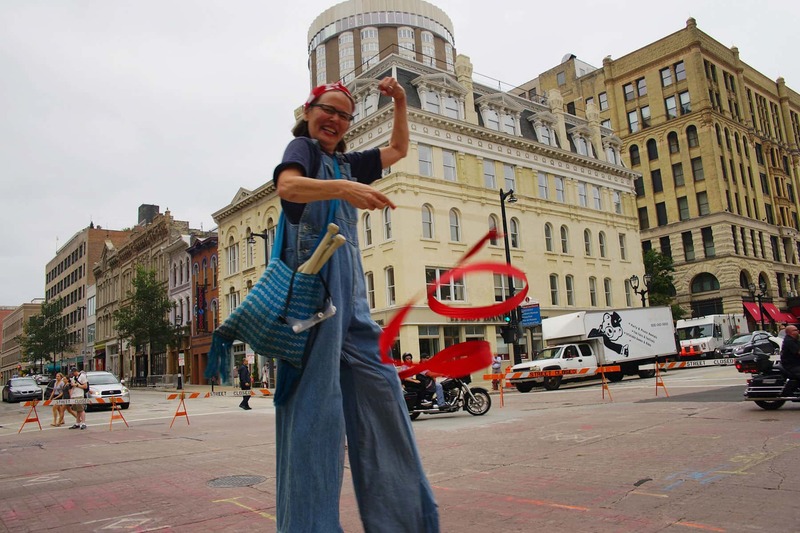 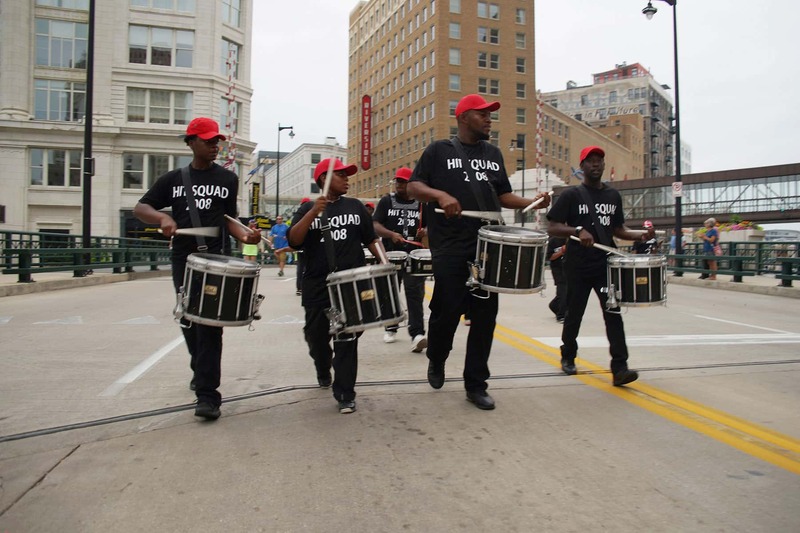 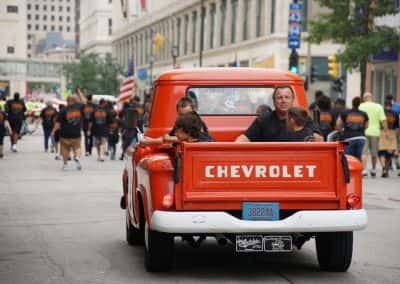 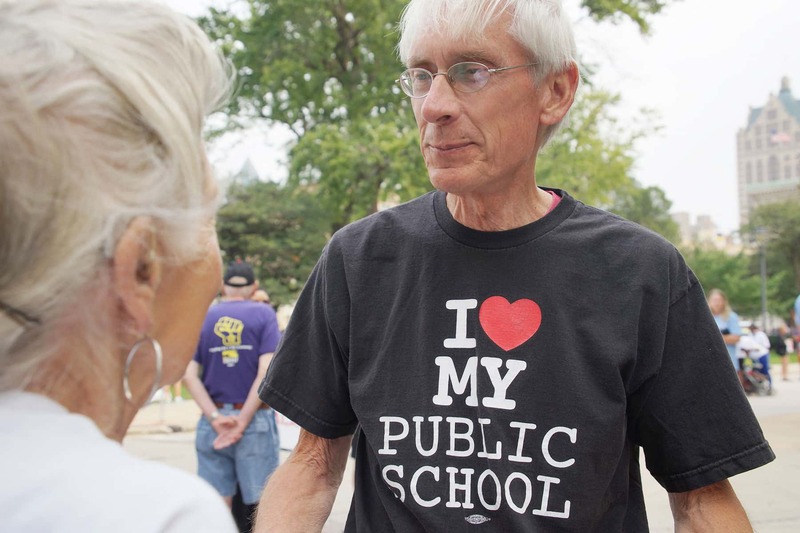 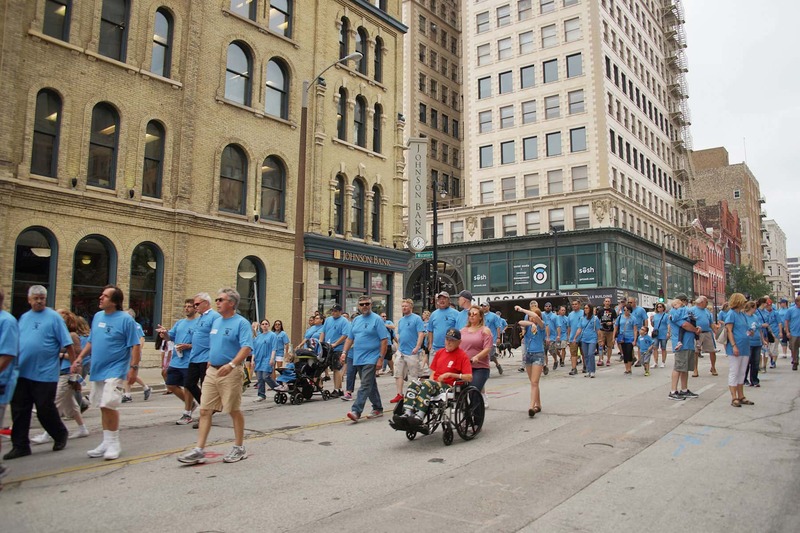 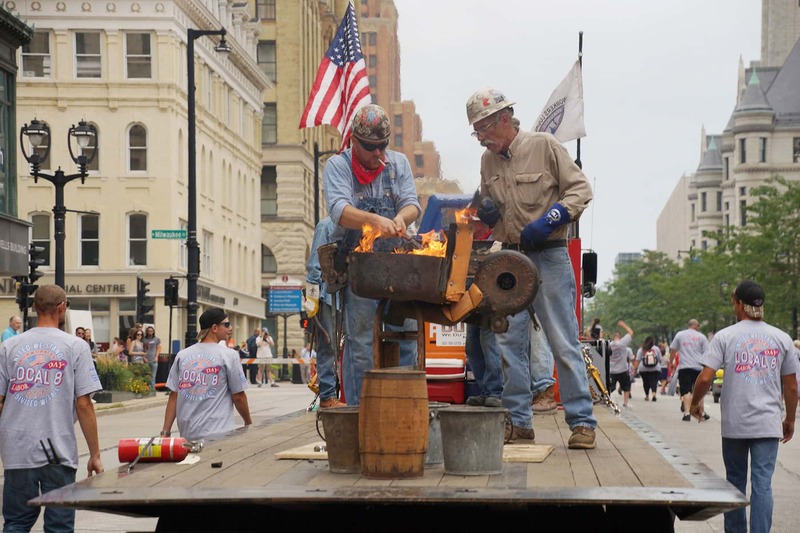 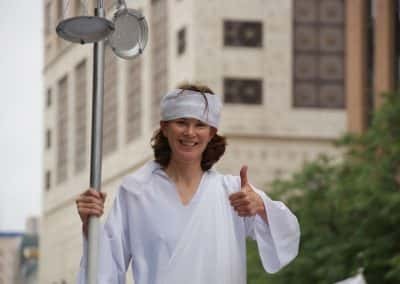 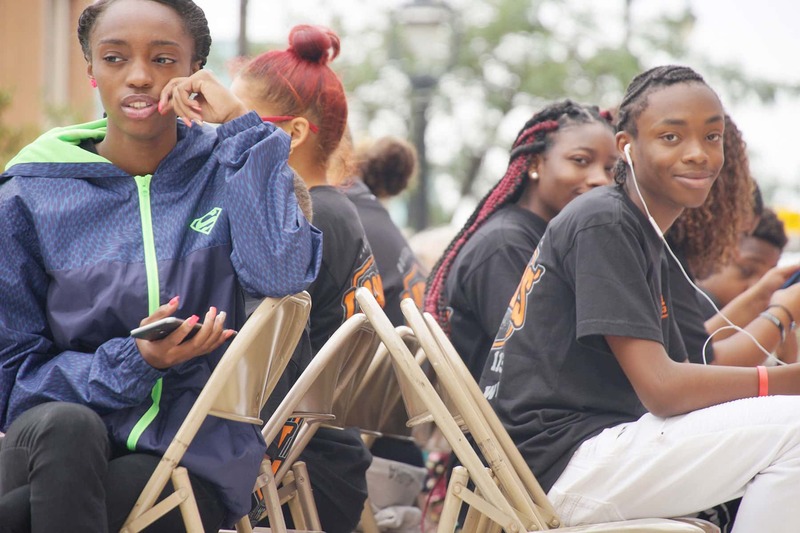 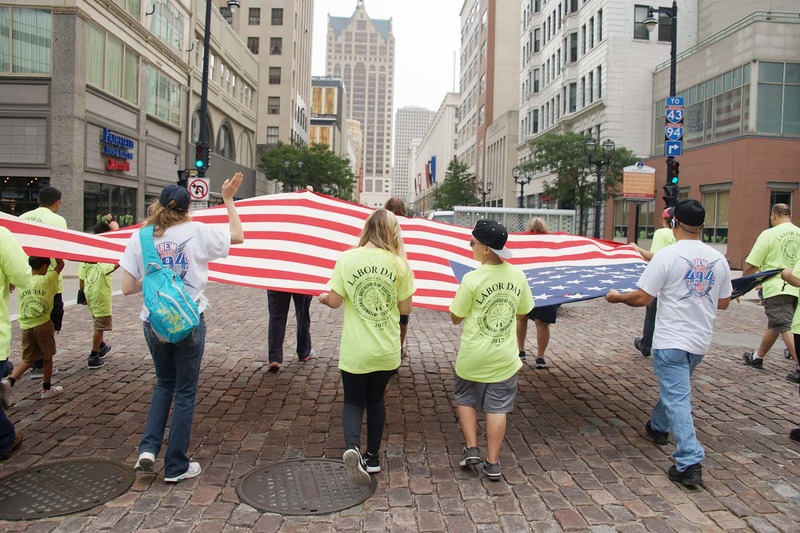 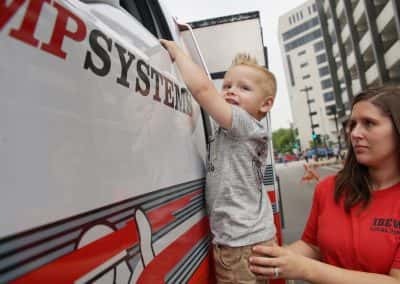 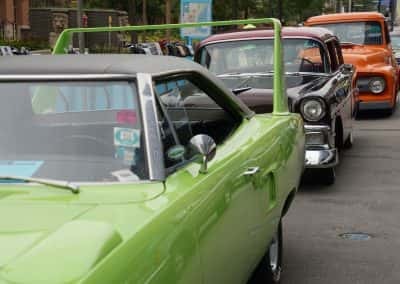 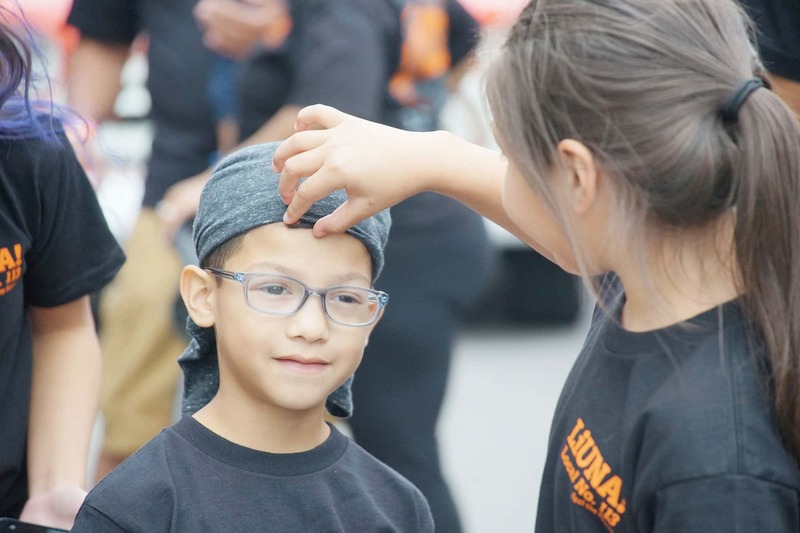 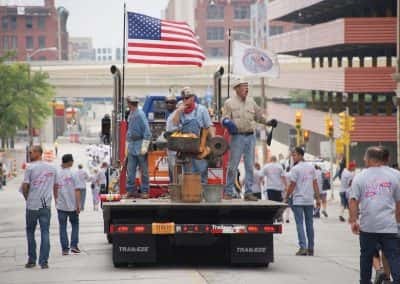 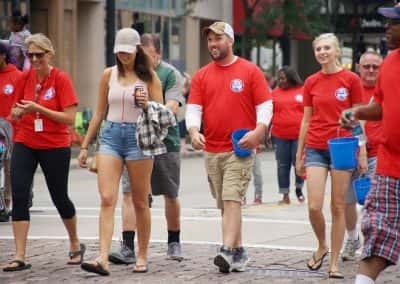 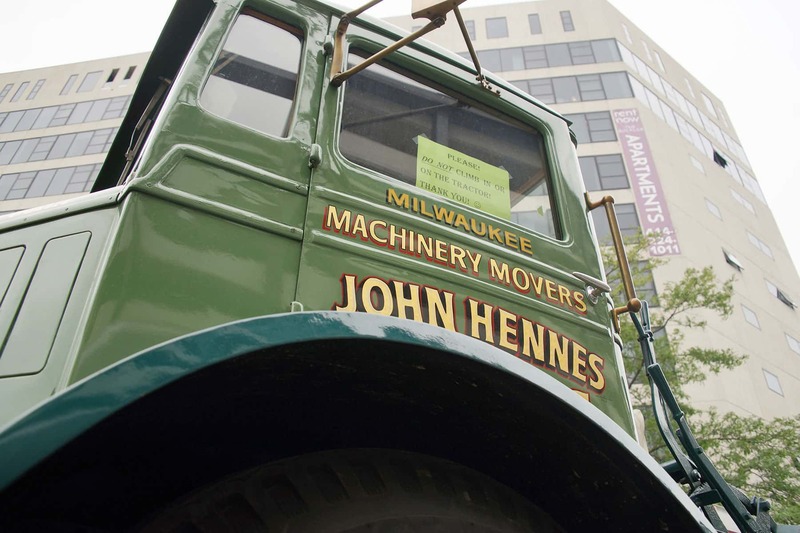 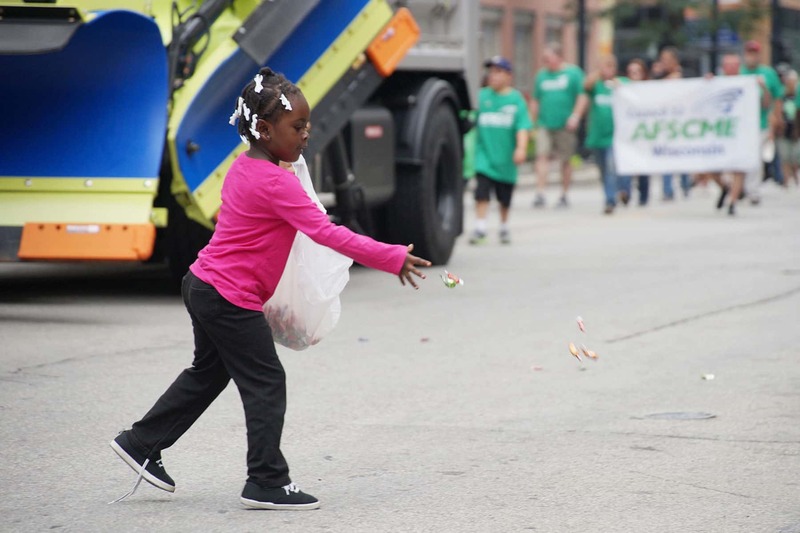 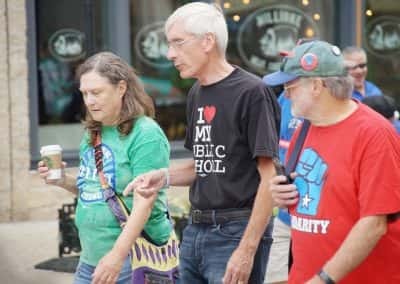 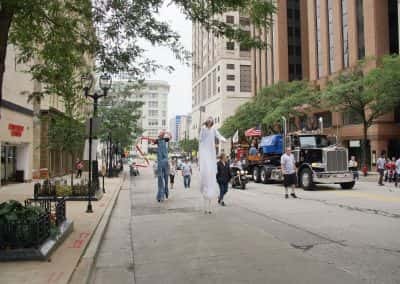 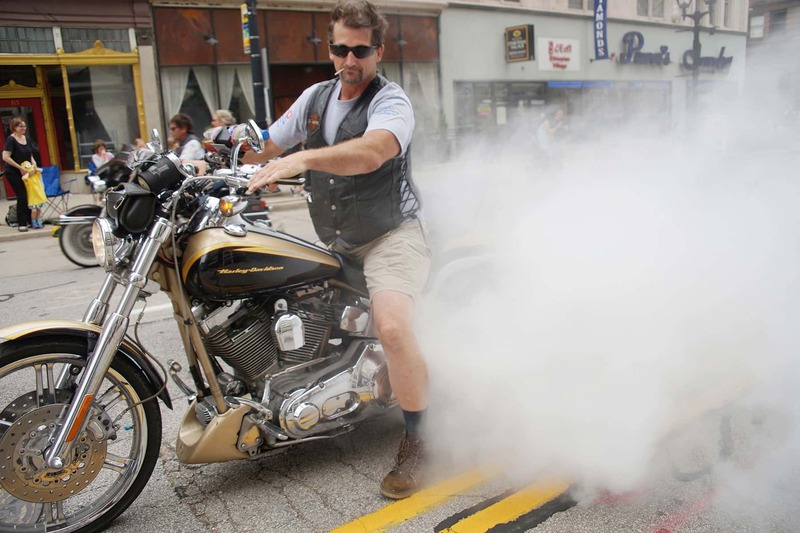 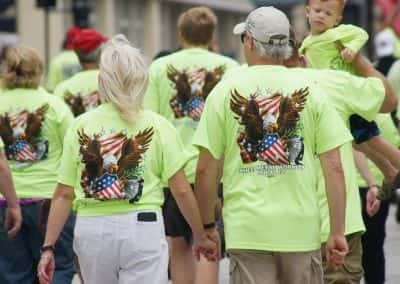 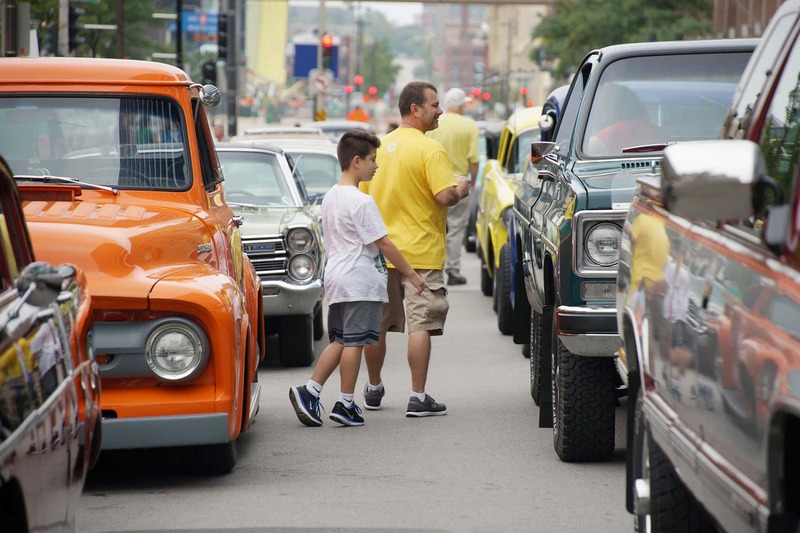 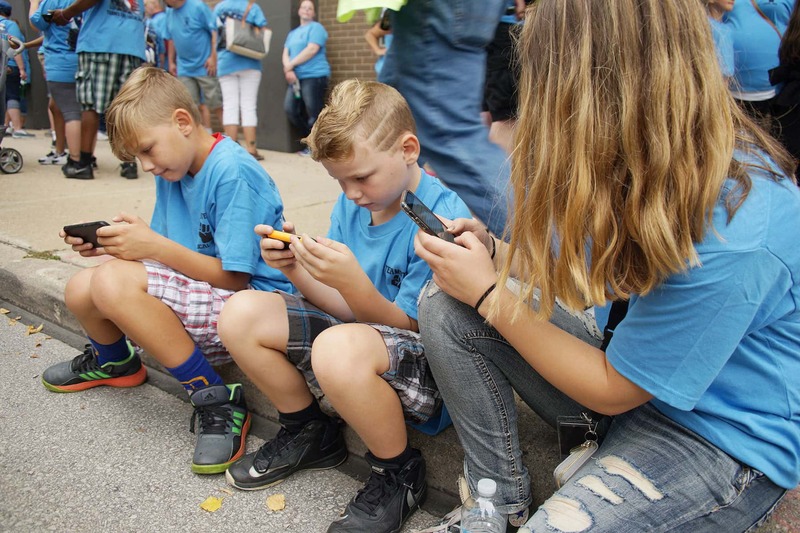 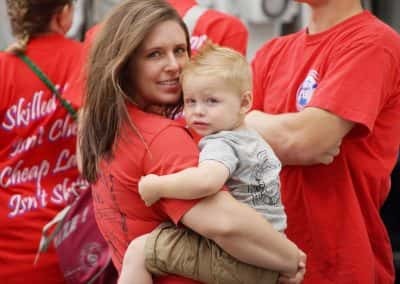 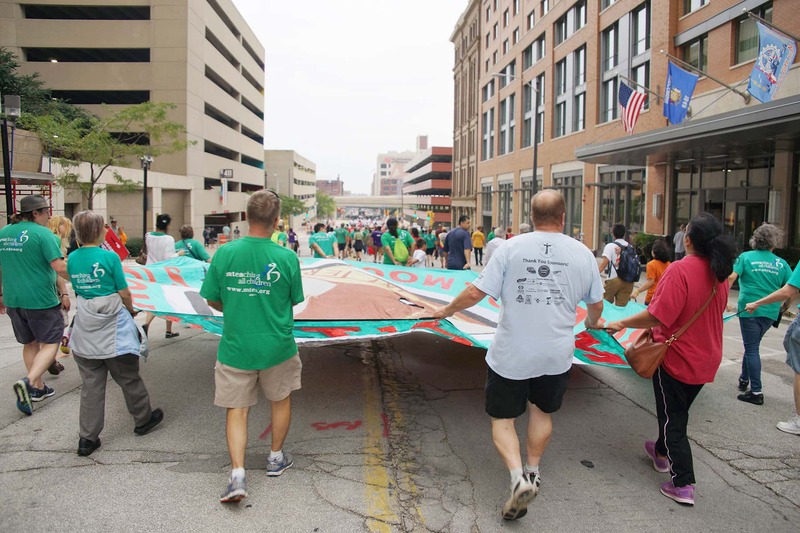 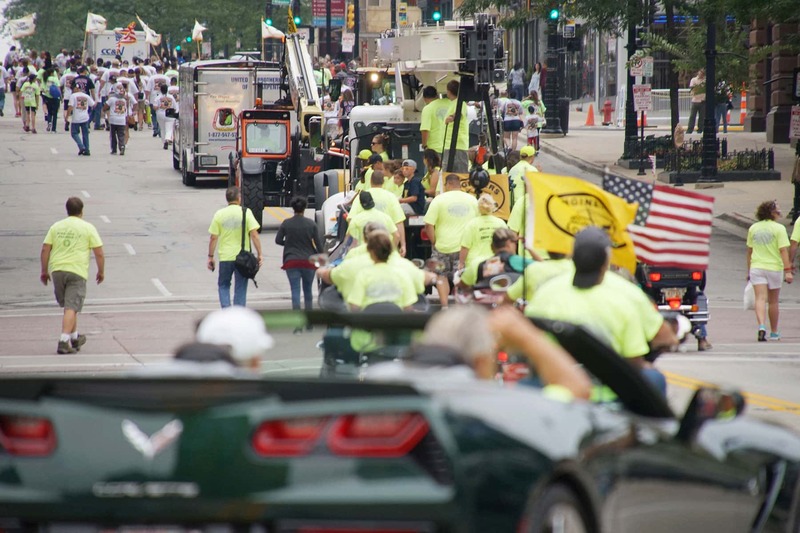 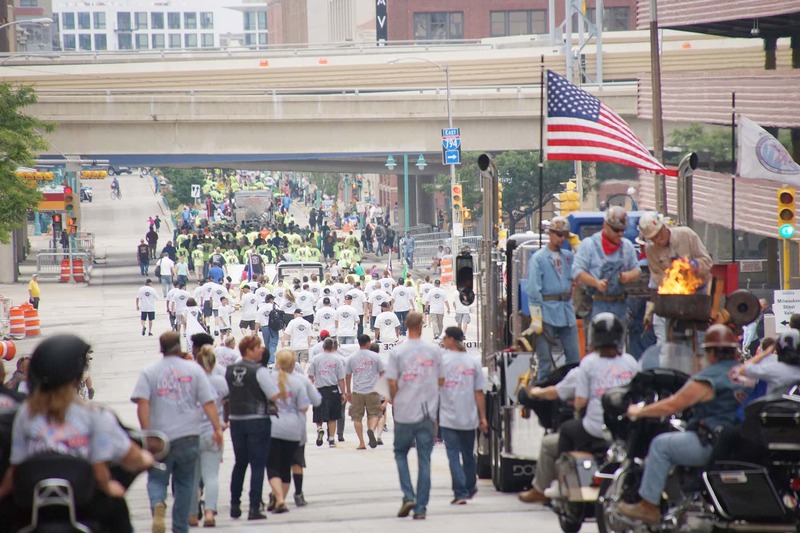 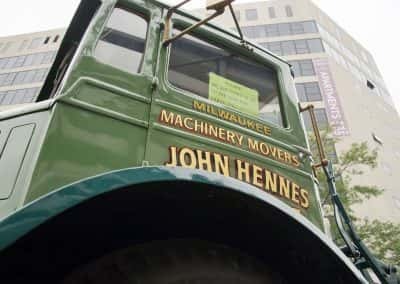 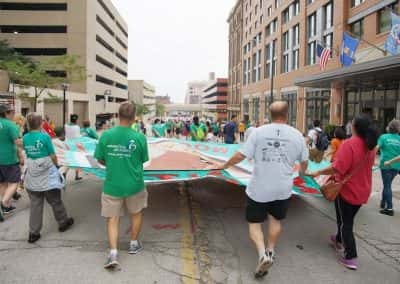 These images feature the parade festivities from Zeidler Square in Westown and along to Laborfest at the Henry Maier Festival Park on September 4.